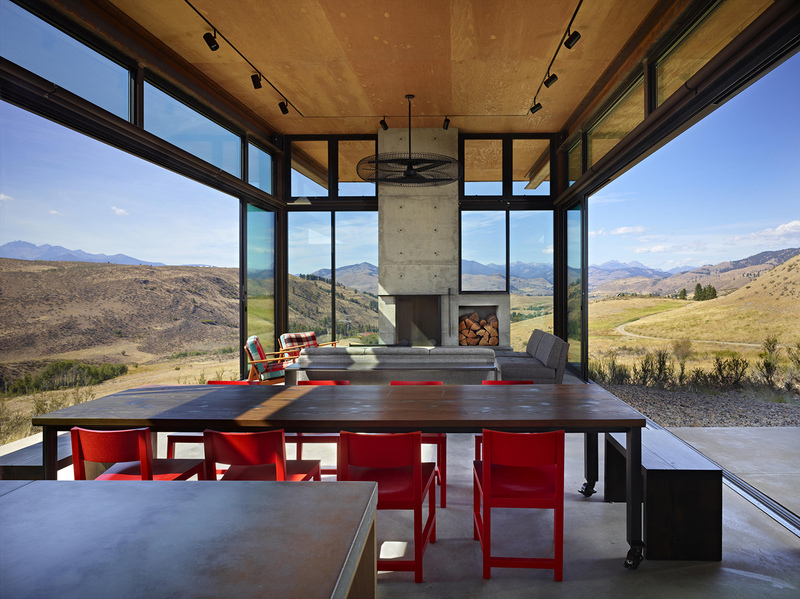 Kundig was born in California and raised in Spokane WA. 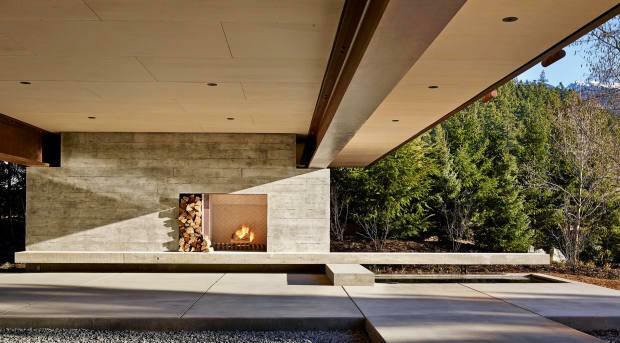 Although his father Moritz (Morris) is a regarded architect, Kundig initially preferred working with his hands. As a teenager, he learned to weld with Harold Balazs, a sculptor and friend of his father. During summer vacations he took jobs at sawmills. 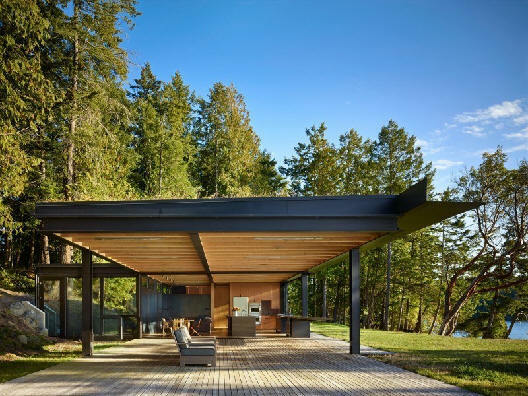 Kundig earned undergraduate and graduate architecture degrees from the University of Washington in 1977 and 1981. He worked for C. Cichanski & Associates from 1977-1980; Bruno Inabnit in Switzerland from 1980-1981; TRA from 1981-1983; The Callision Partnership in 1983; a partnership with Jochman from 1983-1984; and MHK Architects from 1984-1985. He joined Jim Olson's firm in Seattle WA in 1986 and became a partner in 1994. Rick Sundberg joined the firm in 1975. Scott Allen came as a partner next. There have been various firm names over time. 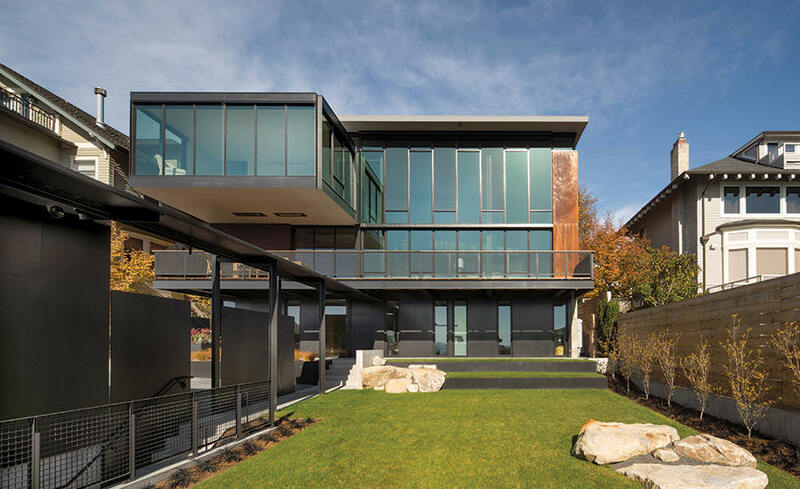 Kundig is one of residential architecture's rock stars with dozens of AIA awards, features in hundreds of publications worldwide, and lectures all across the globe. 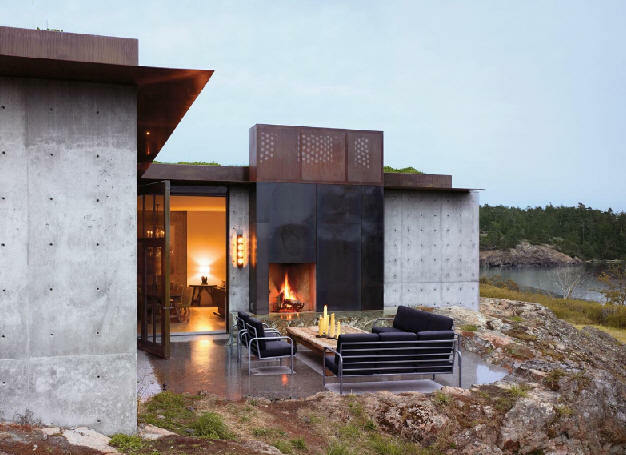 Writer Andrew Blum says "Kundig is the firm's indisputable hotshot, creating the most daring designs and attracting the attention to match. 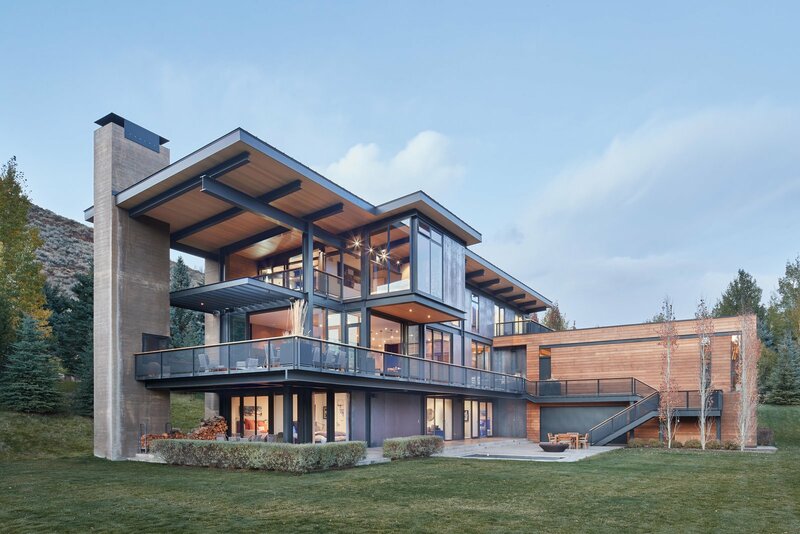 He burst onto the architectural scene in the mid-1990s, just as Seattle itself was establishing pride of place in the American consciousness with the rise of Starbucks, Microsoft and Amazon.com. 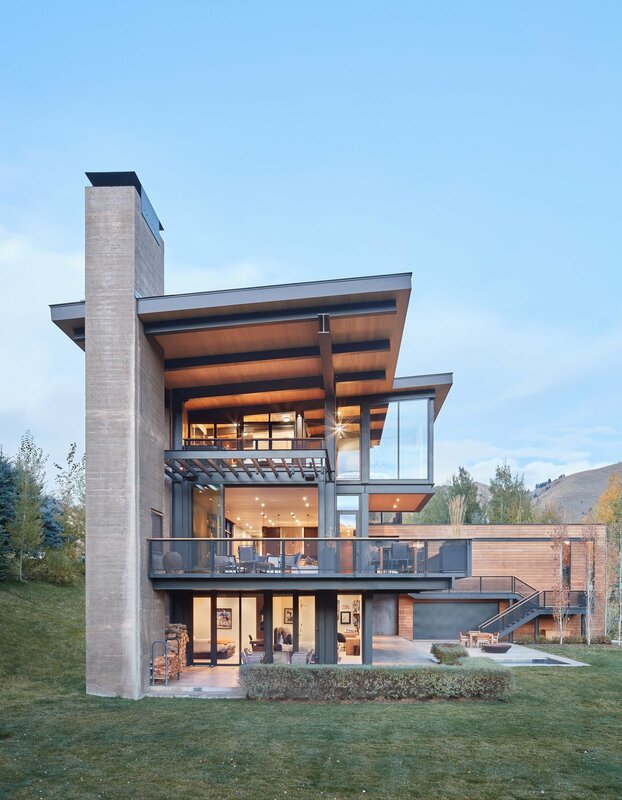 In the past five years, as Kundig's architecture has reached maturity, his houses have left an indelible mark on American residential design, becoming some of the most widely-published works of the last decade. 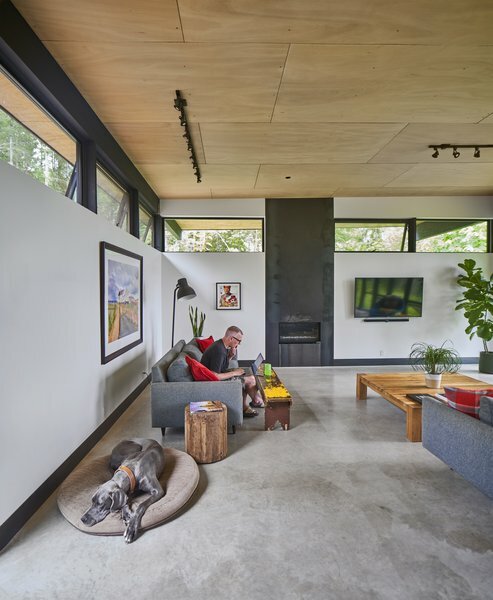 When photos appear in a magazine, hundreds of calls pour into [their] offices from people interested in a Kundig house of their own." Video. 1978 - aka the Leschi Residence, 414 34th Avenue South, in the Leschi area of Seattle WA. Sold to Bruno Lambert and Elizabeth Dunn. 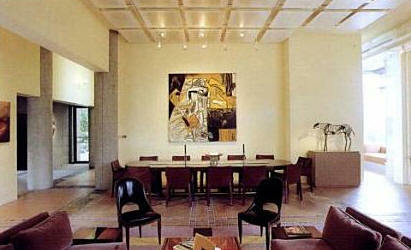 Renovated by Kundig in 1998, built by dboone. Bottom two photos by Benjamin Benschneider. 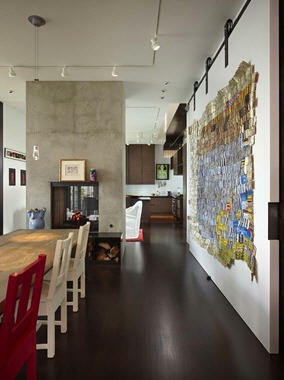 Sold in 2005 to John and Leslie Breitner. 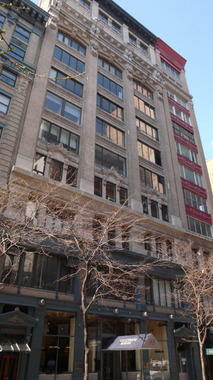 Sold in 2010 to Wendy J. Aird. Sold in 2013 to Ann and Steve Phillips. 1984 - Remodel, 3314 Crystal Springs NE, Bainbridge Island WA. 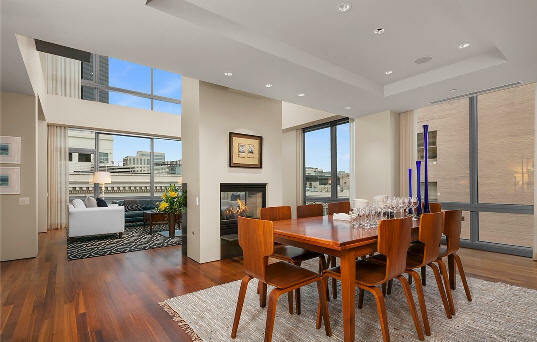 Sold to Bob and Mary Carlson. Renovated by Tom Kuniholm. 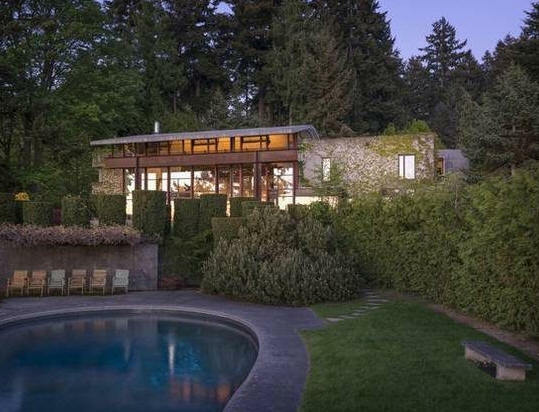 1987 - The Clyde and Donna Lewis House, aka The Federal Way Residence, 28843 7th Avenue South, Federal Way WA. Designed with Jim Olson. Built by Jerry Fulks. Landscaped by R. David Adams. Deeded in 2014 to Donna Lewis. 1992 - The Ann and John Hauberg Residence, aka Urban Villa, aka The City House, 601 36th Avenue East, Seattle WA. Commissioned 1989. 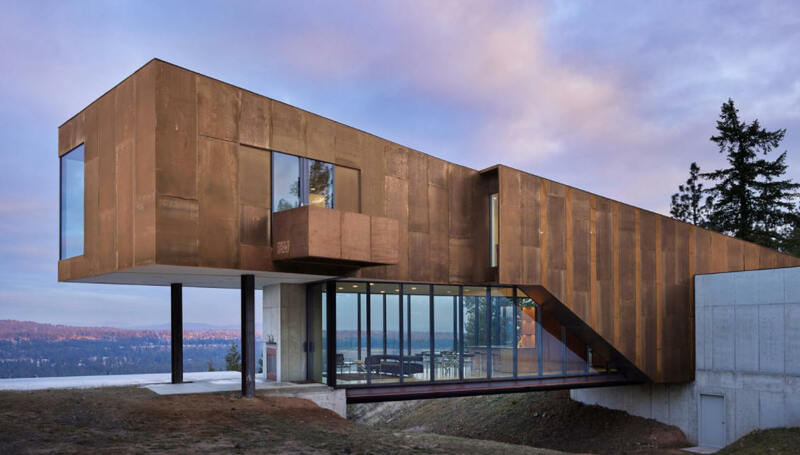 Overlooks Lake Washington. Designed with Jim Olson and Kirsten Murray. 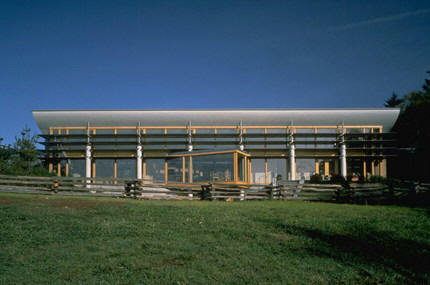 Won a 1997 NW & Pacific Region AIA Honor Award and a 1996 Seattle AIA Citation Award. 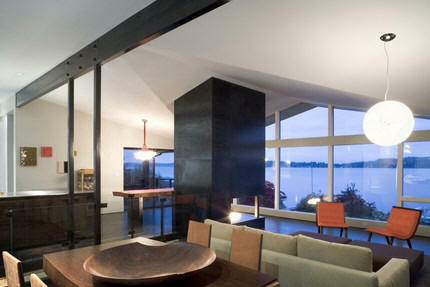 The firm did interiors along with Mary Siebert. Built by Fleming Sorensen. 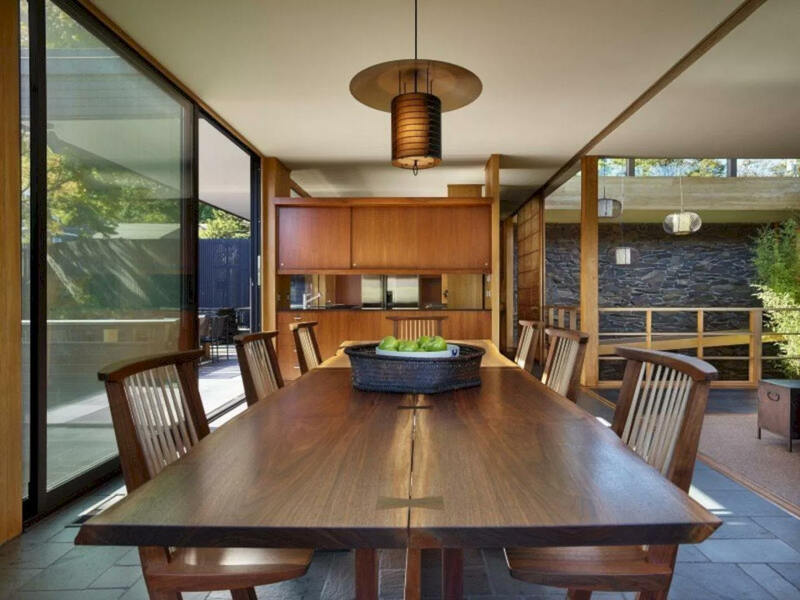 The dining room table is from the boardroom of the Chrysler Building in New York. Sold in 2003 to Janet Ketchum. Photos by Michael Jensen. 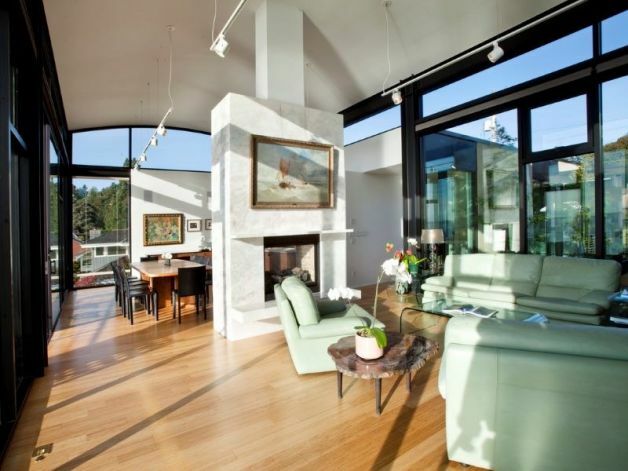 1990 - aka The Waterfront Residence, Bainbridge Island, Seattle WA. Commissioned 1989. Designed with Jim Olson. Status unknown. Project architect, Matthias Winkler. 1992 - The Anna Chesnut House, aka The Ranch House, 921 Takhoma Farm Lane, Ellensburg WA. Photo by Ben Benschneider. Project architect, Paul Schlachter. 1993 - The Jeremy and Linda Jaech House, aka The Meadow House, aka the Juanita House, 11910 87th Place NE, Kirkland WA. Built by John Brown Builder. 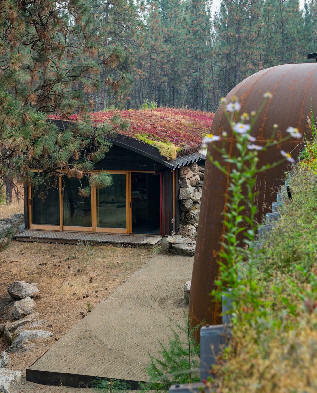 Has a sod covered roof. 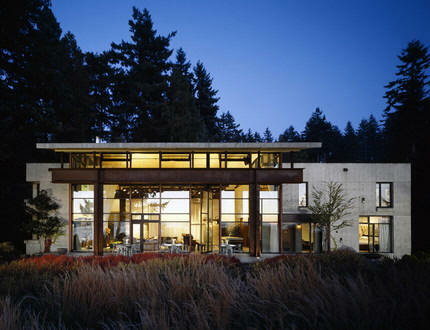 Won a 1993 Seattle AIA Commendation Award and a 1994 Northwest & Pacific Region AIA Merit Award. 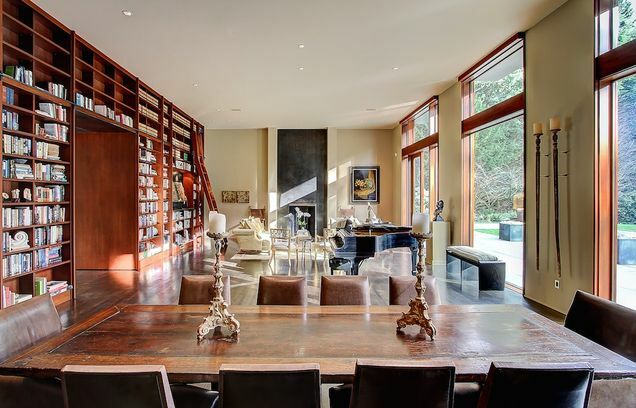 Sold in 1998 to Mark and Magdalene Schoenhals. Sold in 2005 to Michael Steep and Christine Walker. Sold in 2011 to Jaehong Kim. 1993 - aka The Cannon Beach Cottage, Cannon Beach OR. Unbuilt. 1994 - aka The Hunt's Point Residence Remodel, Hunt's Point WA. Built. 1994 - aka The Forest Residence, Marrowstone Island WA. Status unknown. 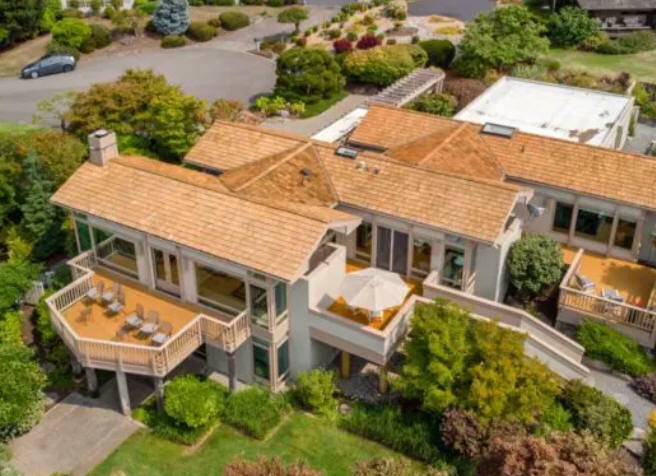 1995 - aka The Beach Residence, Mercer Island WA. Unbuilt. 1995 - aka The Cougar Mountain Residence, Bellevue WA. Unbuilt. 1996 - aka The Palouse Residence, Spokane WA. Unbuilt. 1996 - aka The Home House, Home WA. Won a 1996 AIA Seattle Conceptual Award. Unsure if built. 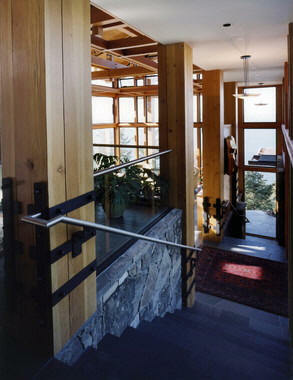 1997 - aka The Blue Ridge Residence Remodel, Seattle WA. Status unknown. 1998 - aka The Rainshadow Residence, Sequim WA. Unbuilt. 1998 - aka The Orchard Residence, Chelan WA. Unbuilt. 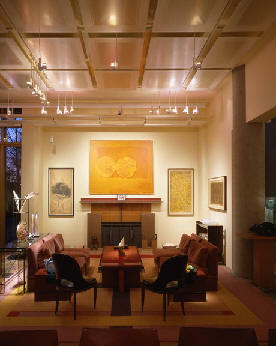 1998 - aka The Overturf Residence Remodel, Bellevue WA. Status unknown. 1998 - aka The Dash Point Residence, Federal Way WA. Status unknown. 1998 - aka The Grey Point Cabin, Coeur d'Alene ID. Status unknown. 1998 - The Carol Bobo Residence, aka the Studio House, 970 NW Elford, Seattle WA. Commissioned 1993. 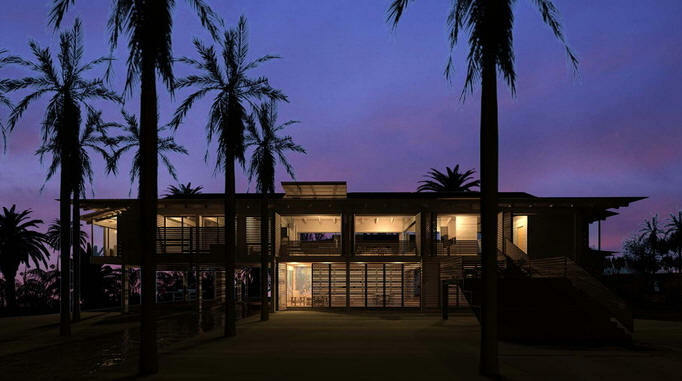 Won a 2000 AIA Summit Western International Design Merit Award. 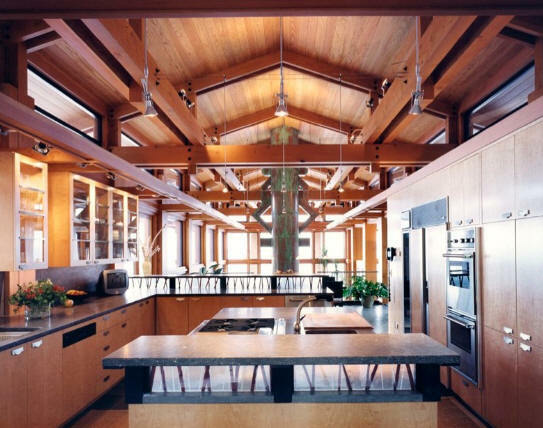 Won a 1998 AIA Northwest and Pacific Region Design Honor Award. 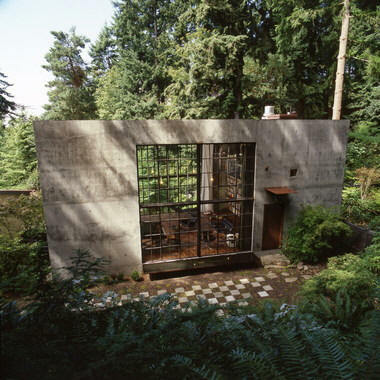 Won a 1997 AIA Seattle Honor Award. Built by Charter Construction. 7200 sf. Sold in 2014. 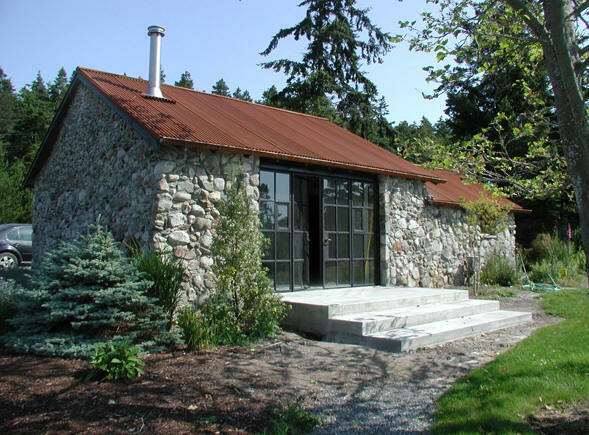 1998 - The Joe and Karen Martinelli House, aka the Haro Strait House, 130 Carefree Way, Friday Harbor WA. 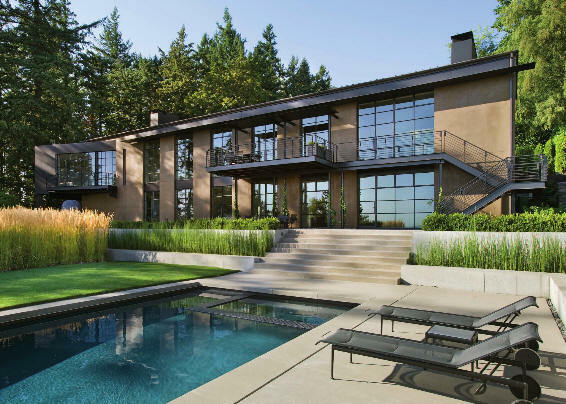 Built by David Paulson Construction. Photos by Art Grice. Sold in 2005 to Yolande Jurzykowski. 1998 - The Thomas A. Ellison Renovation, aka the Courtyard House Renovation, 5666 Pleasure Point Lane SE, Bellevue WA. 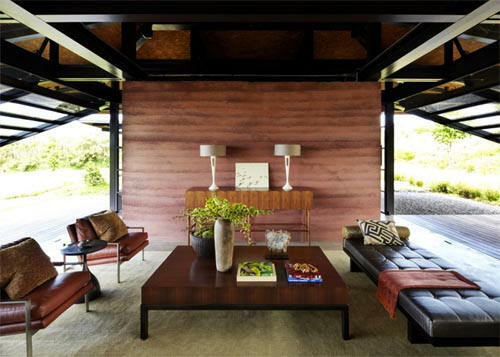 Original 1959 house designed by architect Roland Terry. Renovation landscape design by Alchemy. Sold in 2015 to Brad and Lisa Powell. 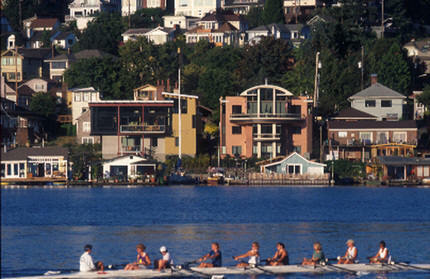 1999 - The William and Diana Henderson House, aka The Portage Bay House 2, 2908 Fuhrman Avenue, Seattle WA. Sold in 2013 to Daniel Green and Giselle Maartens. 1999 - aka The Lake Travis Residence, Austin TX. Unbuilt. 1999 - aka The 55 Bell Apartment, Seattle WA. Unbuilt. 1999 - aka The Highland Condominium, Seattle WA. Commissioned 1998. 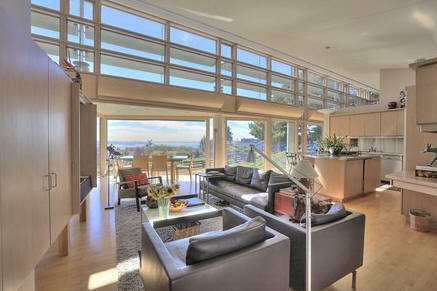 Occupies the sixth floor of a building on the south slope of Seattle’s Queen Anne hill. There was also a second project in this building; needs verification. 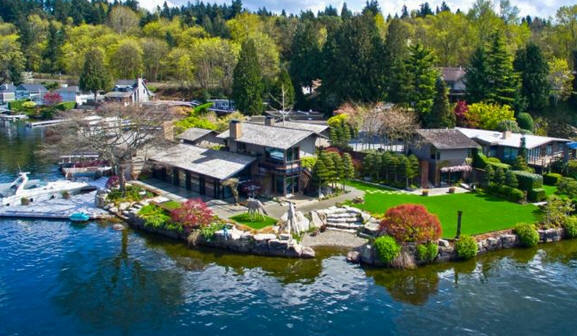 2000 - aka The Hill House, Mercer Island WA. Designed with Kirsten Murray. Photos by Paul Warchol. 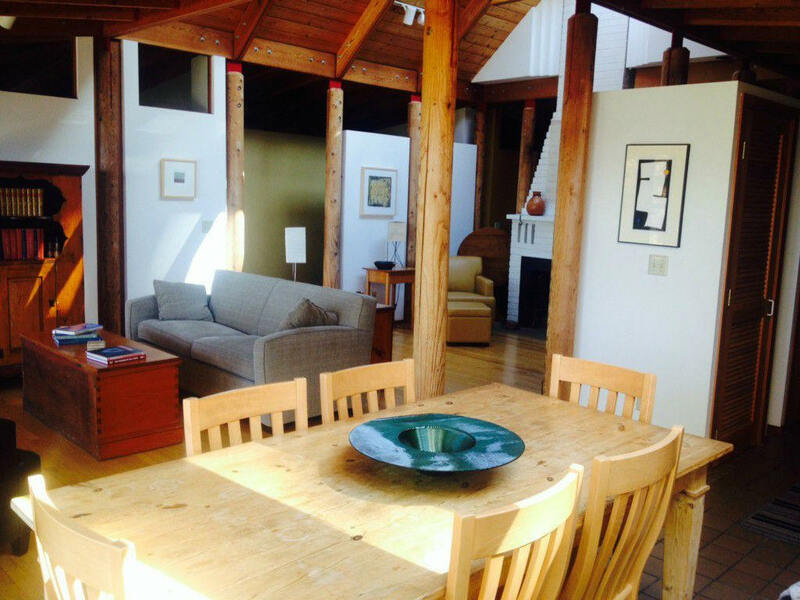 2000 - aka The Tree House, Portola Valley CA. Unbuilt. 2000 - aka The Woodside Ranch, Woodside CA. Unbuilt. 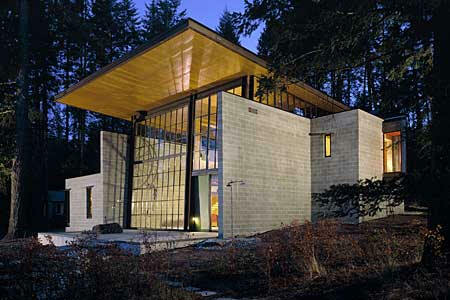 2000 - aka The West Mercer Residence, Mercer Island WA. Unbuilt. 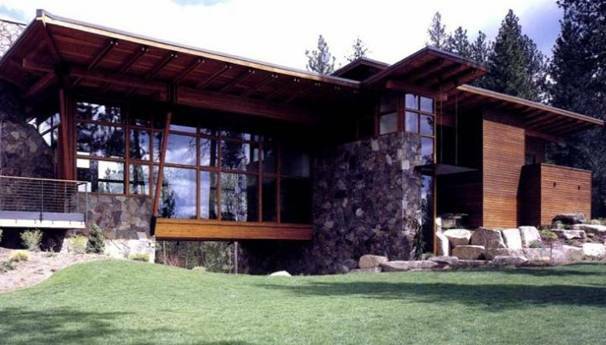 2001 – aka The Ridge House, aka The Northwest Ridge House, Spokane WA. 8055 sf. Ellen Cecil was the project manager. Engineering by Monte Clark Engineering. Built by Gutman Construction. Interior design by Agnes Bourne. Photos by Bruce Van Inwegen and Paul Warchol. 2001 - The George Palumbo Residence Remodel, aka The North Seattle Residence Remodel, 130 Huckleberry Lane, The Highlands, Shoreline WA. Designed with Alan Maskin. Original house was built in 1977. 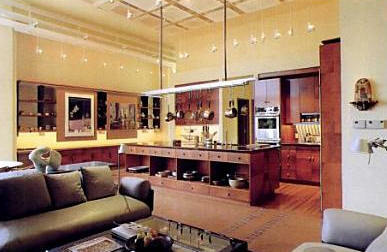 Named as one of the Metropolitan Home Design 100 in 2005. Photos by Paul Warchol. 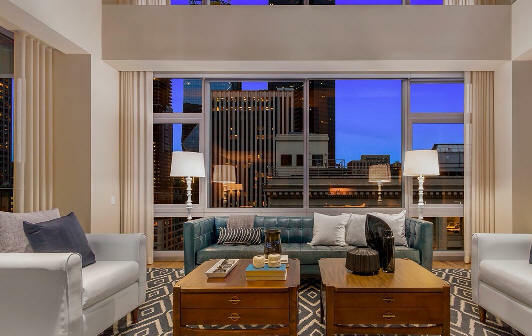 Sold in 2015 to Eric Feldman and Susan Froderberg. 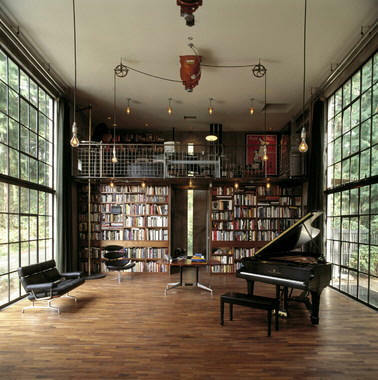 2001 - The David Wild Studio, aka The Brain, 945 Elford, Seattle WA. Commissioned 1998. 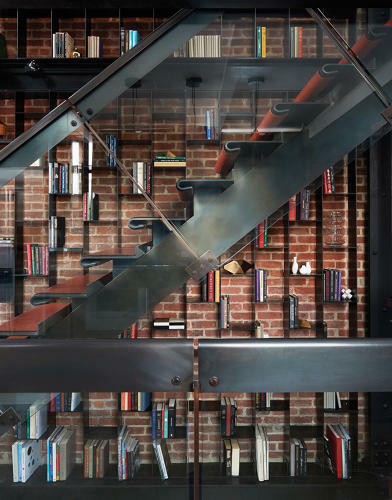 Features a firemans pole and an enormous library. Won a 2004 AIA National Honor Award. 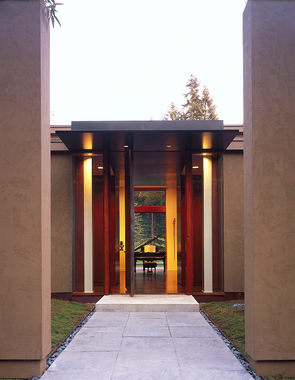 Won a 2001 AIA Northwest and Pacific Region Design Honor Award. 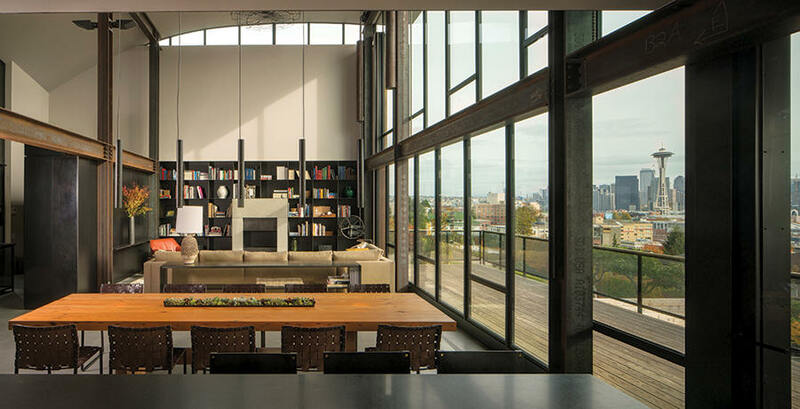 Won a 2000 AIA Seattle Honor Award. 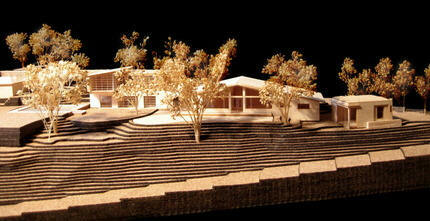 Won a 1999 AIA Seattle Conceptual Honor Award. Top photo by Marco Prozzo. Other photos by Mark Darley. 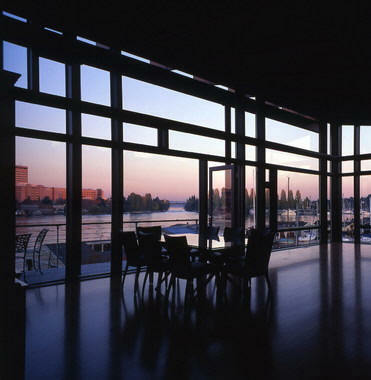 2001 - aka The Mica Bay Residence, Coeur d'Alene ID. 2001 - aka The Liberty Heights Residence, San Francisco CA. Unbuilt. 2001 - aka The Dishman Hills Residence, Spokane WA. 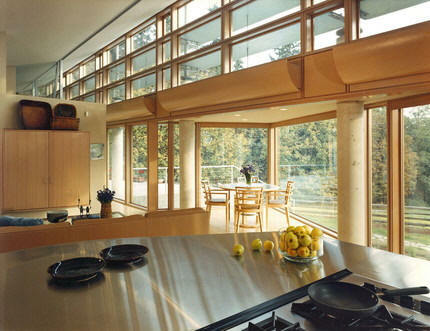 2002 - aka The Lake Residence Remodel, Seattle WA. 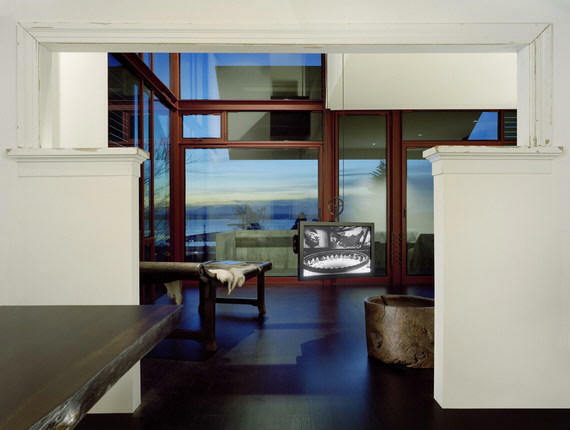 2002 - aka The Madrona Residence, Seattle WA. 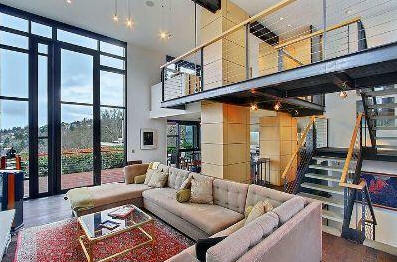 2002 - aka The Private Estate, Mercer Island WA. 2002 - aka The Steel Residence, Anacortes WA. Unbuilt. 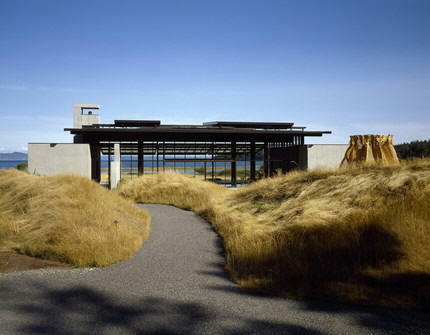 2002 - aka The Tsunami Residence, Medina WA. 9500 sf. Built by Charter Construction. 2003 - aka The Beach House, Sarasota FL. Unbuilt. 2003 - aka The Ski Condo, Vail CO.
2003 - aka The S/W Condo Remodel, Seattle WA. 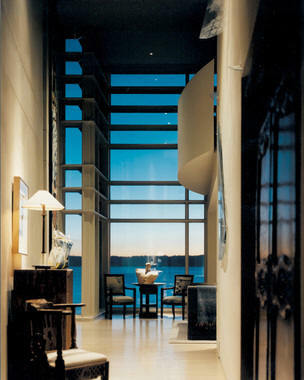 2003 - aka The Meydenbauer Bay Residence, Bellevue WA. 2003 - The Jeff and Amy Larson Cabin, aka Chicken Point Cabin, aka Think Tank, 12377 North Roscoe Road, Hayden ID. Commissioned 2000. 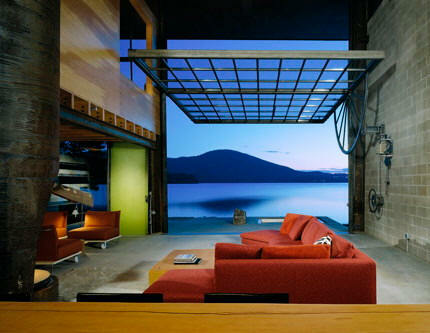 The big window-wall (30 feet by 20 feet) opens the entire living space to the forest and lake. 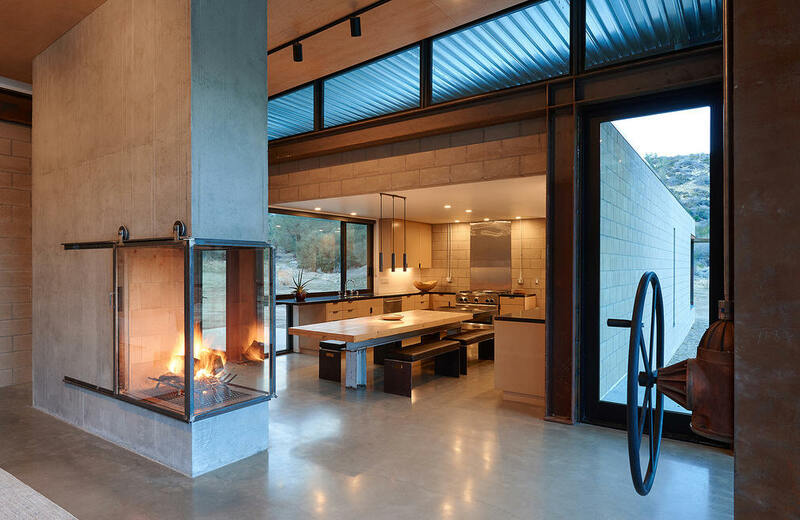 Materials are low maintenance: concrete block, steel, concrete floors and plywood. 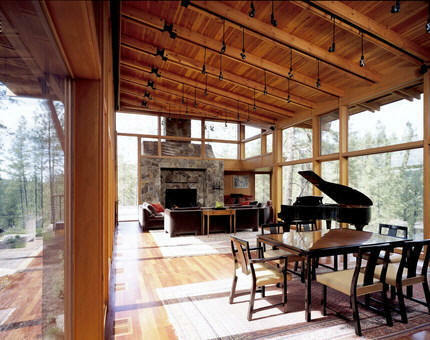 Won the 2005 Residential Architect Grand Award. 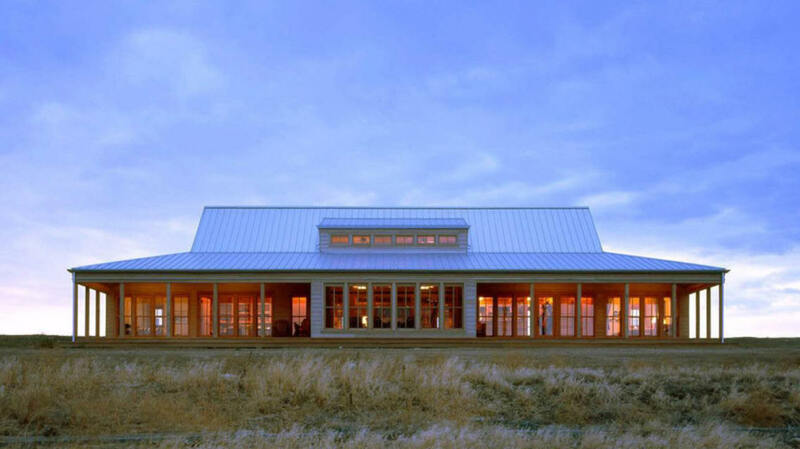 Won a 2004 AIA National Honor Award. 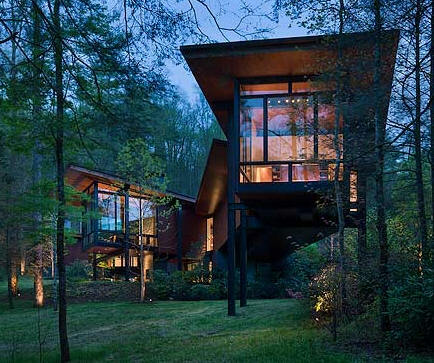 Won a 2004 American Architecture Award. 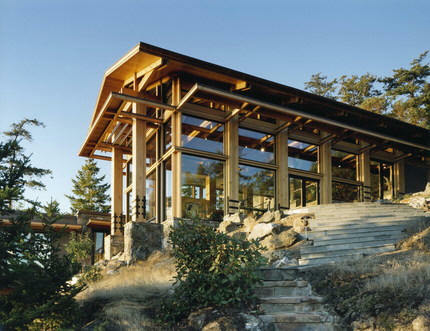 Won a 2003 AIA Northwest and Pacific Region AIA Award. 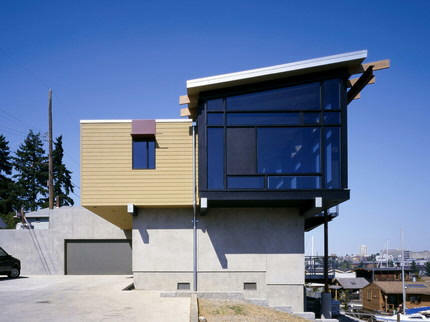 Won a 2002 AIA Seattle Honor Award. Engineering by Monte Clark Engineers. Built by M. C. Company. 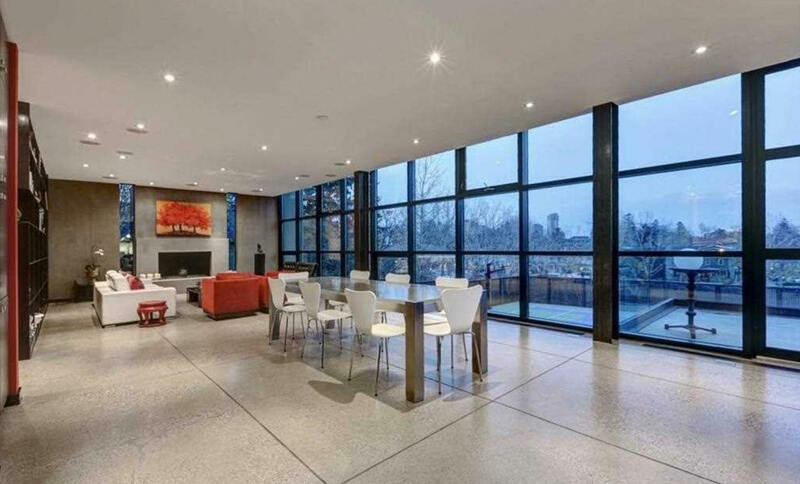 Steven Rainville was the project architect; Debbie Kennedy, interior designer; All New Glass (big window); Star Steel (steel structure, bong); Steve Clark (table fabricator, cabinets, beds). 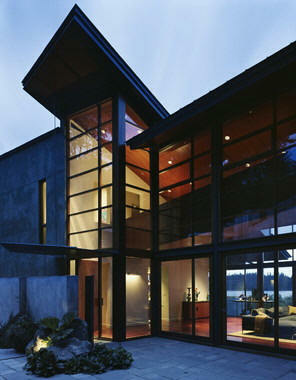 2004 - aka The Mercer Island Ridge Residence, Mercer Island WA. 2004 - aka The Mount Si Residence, North Bend WA. 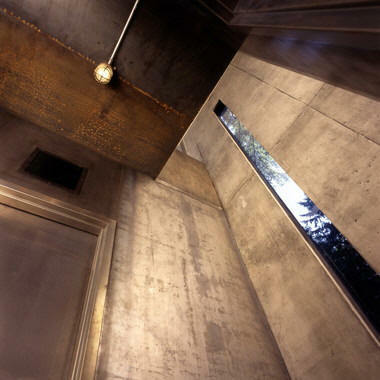 2004 - aka The Shamrock Residence Remodel, Vancouver BC, Canada. 2004 - aka The Ranch House, Miles City MT. 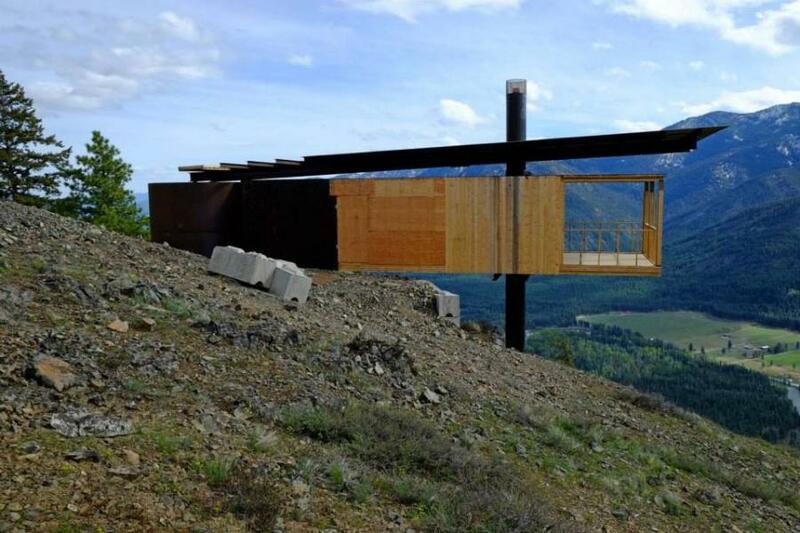 2005 - The Michal Friedrich Cabin, aka the Delta Shelter, aka Stilt Cabin, aka Wesoła Polana, North Cascades Highway, Mazama WA. Commissioned 1998. 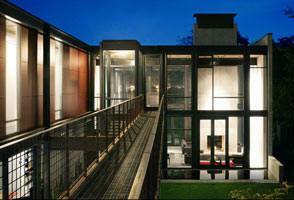 Won a 2008 AIA National Honor Award. 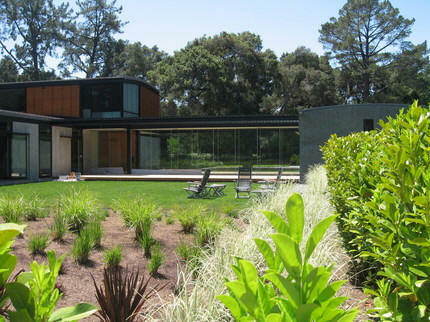 Won a 2007 AIA National Housing Committee Award. 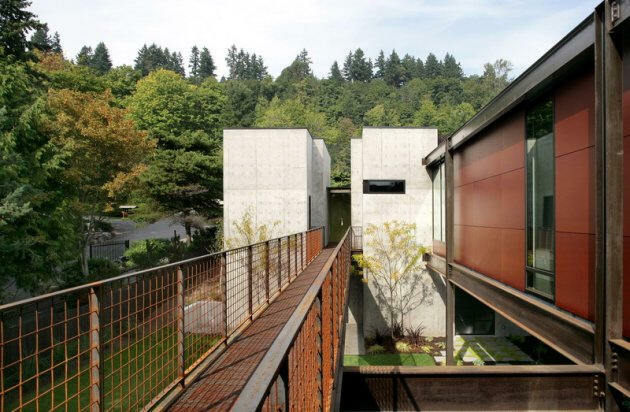 Won a 2007 AIA Northwest and Pacific Region Honor Award. 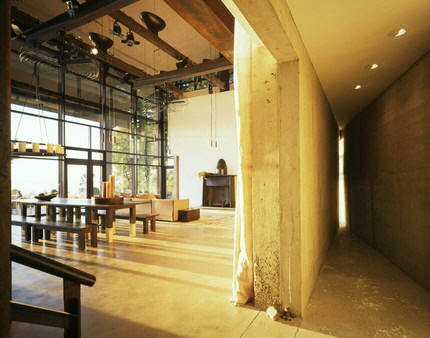 Won a 2007 American Architecture Award. 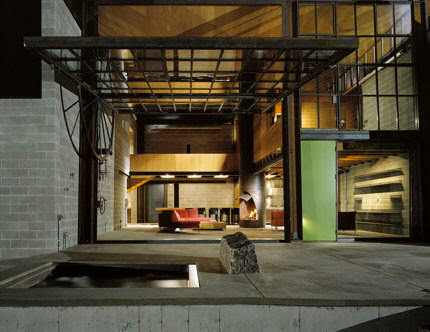 Featured as a 2006 Architectural Record House. 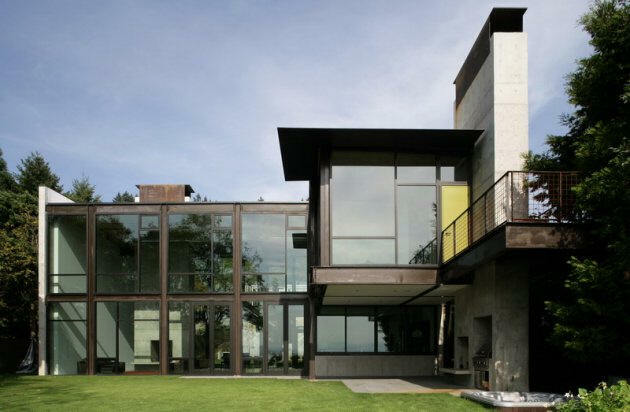 Won a 2006 AIA Seattle Merit Award. 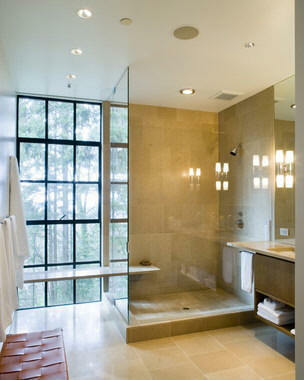 Won the 2006 Residential Architect Grand Award. Structural engineers, Monte Clark Engineering. Interior Design, Debbie Kennedy. Built by Tim Tanner. Project Manager was Ellen Cecil. Photos by Tim Bies, Ben Benschneider. 2005 - aka The Queen Anne House, Seattle WA. Built by E&H. Photos by Benjamin Benschneider. 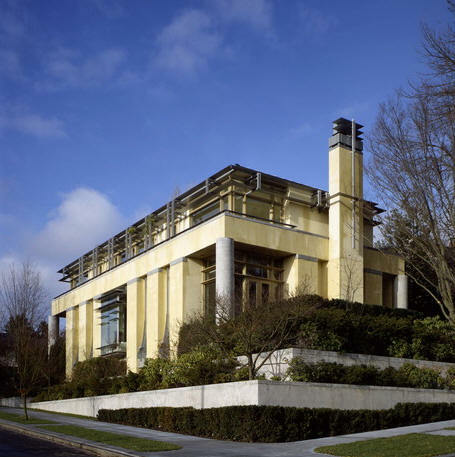 2005 - aka The Capital Hill Residence, Seattle WA. 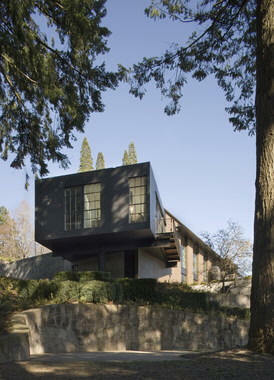 2006 - aka The Lightning Ridge Residence, Portland OR. Unbuilt. 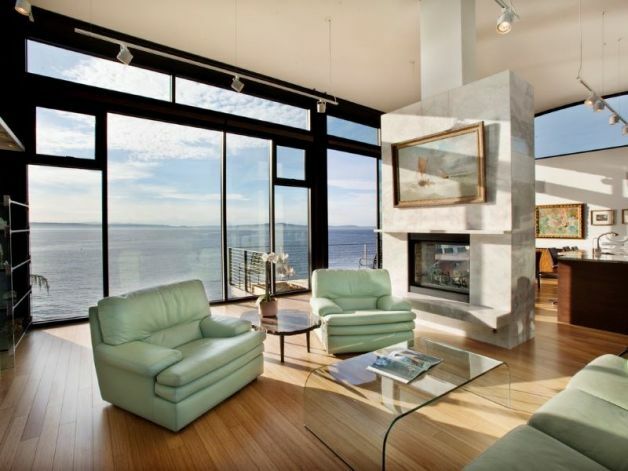 2006 - aka The West Edge Condo, Seattle WA. 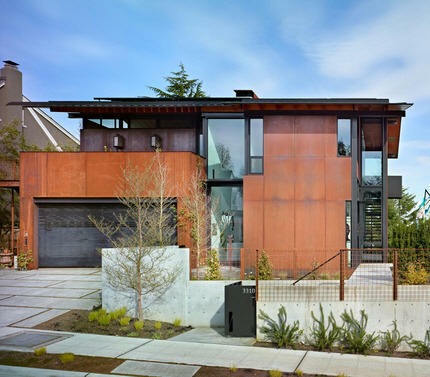 2006 - The Tom and Jeannie Kundig House, aka The Hot Rod House, 1222 9th Avenue West, Seattle WA. A bungalow renovation commissioned in 2001. Photos by Tim Bies. 2006 - The Bruce MacLennan House, aka The Calgary House, aka The Mount Royal Residence, 2124 Hope Street, Calgary AB, Canada. Photos by Tim Bies. For sale in 2017. 2006 - aka Island Pool House, aka Pool House, San Juan Islands, WA. Commissioned 2005. Project architect, Kirsten Murray. Engineer: Monte Clark, MCE Structural Consultants. Built by Krekow Jennings. Photo by Benjamin Benschneider. 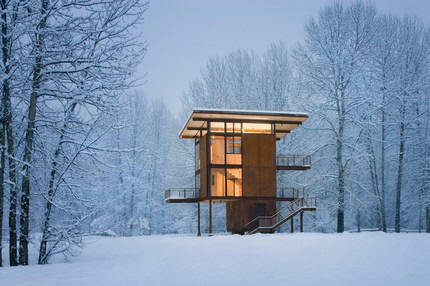 2006 - The Jim Dow Cabin, aka The Tye River Cabin, Skykomish WA. Commissioned 2005. Project architect, Kirsten Murray. Engineer: Monte Clark, MCE Structural Consultants. 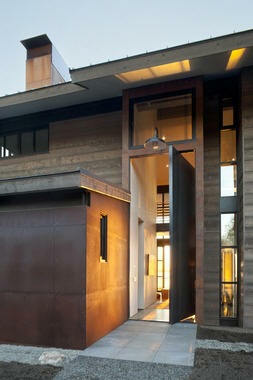 Won a 2009 AIA Northwest & Pacific Region AIA Merit Award. 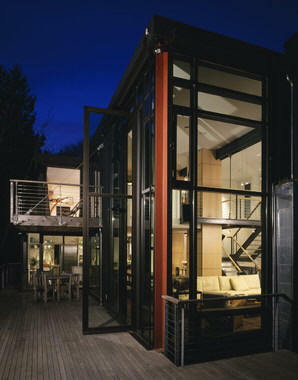 Won a 2007 National AIA Housing Commitee Award. Won a 2007 American Architecture Award. 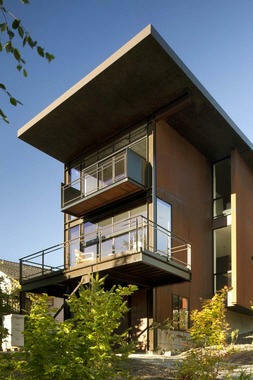 Won a 2006 AIA Seattle Merit Award. Photos by Benjamin Benschneider. Furniture Design by Maryika Byskiniewicz. 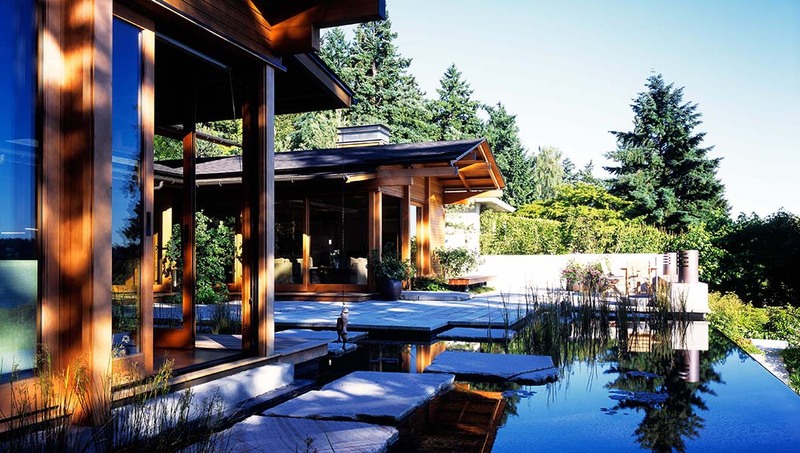 Landscape Architect: Bruce Hinckley. Builder: Schuchart/Dow, the owner's company. 2007 - aka Milepost 45.6, Valdez AK. Heli-ski roadhouse. Unbuilt. 2007 - aka The West Rim House, Spokane WA. Unbuilt. 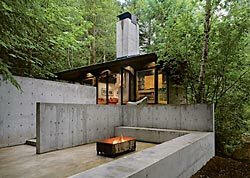 2007 - The Jan Cox House, aka Outpost, 409 West Glendale Road, Bellevue ID. Project architect, Kirsten Murray. Photos by Tim Bies. Engineering by Monte Clark, MCE Structural Engineering. 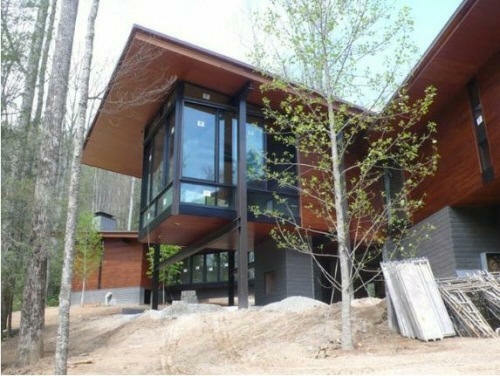 Built by Upham Construction. 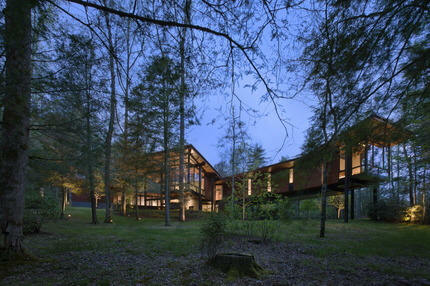 Won a 2011 AIA National Honor Award. 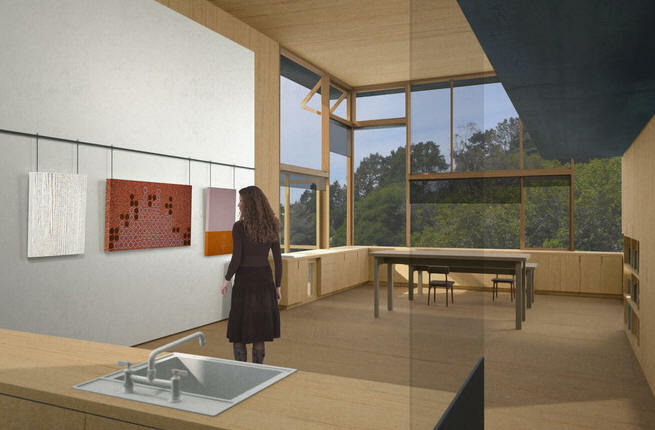 Won a 2009 American Architecture Award. 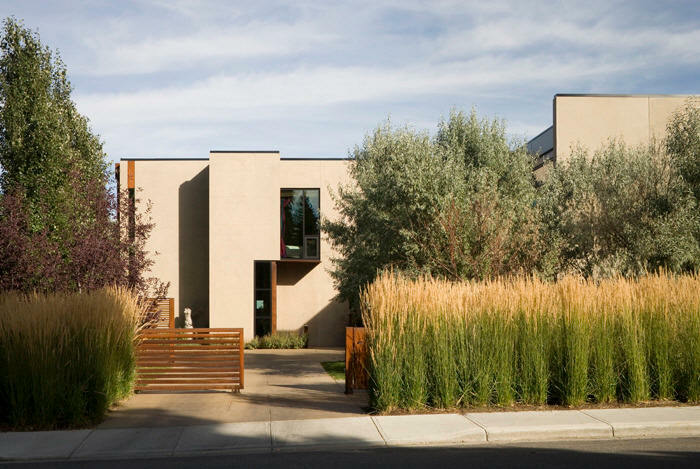 Won a 2009 AIA National Housing Committee Award. 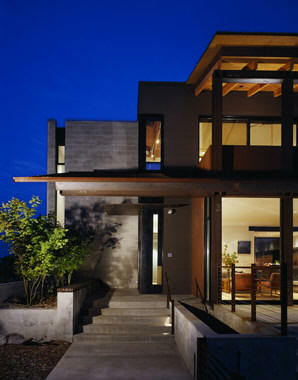 Won a 2009 Residential Architect Grand Award. 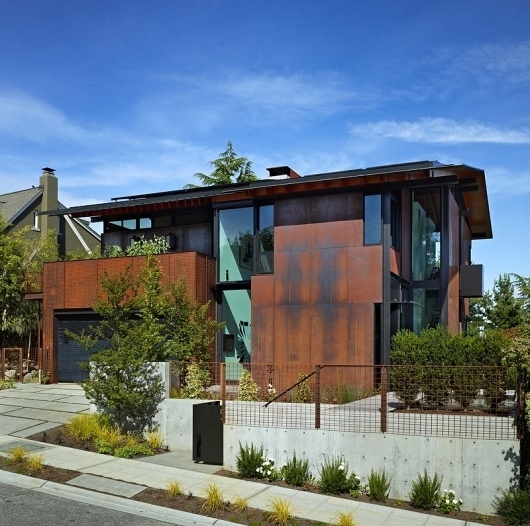 Won a 2007 AIA Seattle Merit Award. For sale in 2010. 2007 - aka The Atherton House, Atherton CA. Status unknown. 2007 - aka the Bay Area House, Oakland CA. Status unknown. 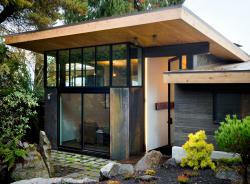 2007 - The Paul Schneider and Lauren Eulau House, aka The Portland Hilltop House, 5060 SW Hilltop Lane, Portland OR. Project architect, Bob Jakubik. Engineer: PCS Structural Solutions. Landscape design, Michael Schultz. Lighting, O-LLC. Built by Green Gables Construction. Photos by Tim Bies. 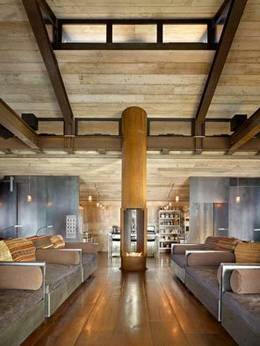 Featured in Architectural Digest, December 2010. 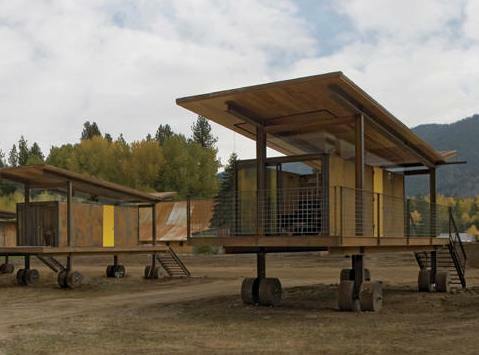 2007 - The Michal Friedrich Rolling Huts, Mazama WA. Located on the same land as Delta Shelter. Project architect, Jerry Garcia. Built by Tim Tanner. Engineer: Monte Clark, MCE Structural Consultants. 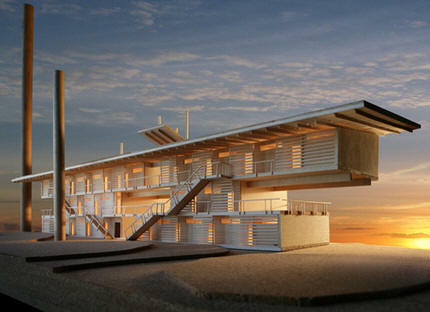 Won a 2009 American Architecture Award. 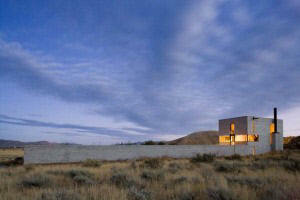 Won a 2009 AIA Northwest and Pacific Region Honor Award. 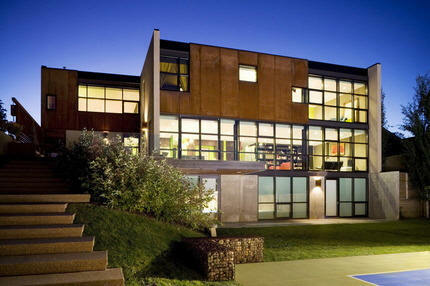 Won a 2009 Residential Architect Grand Award. 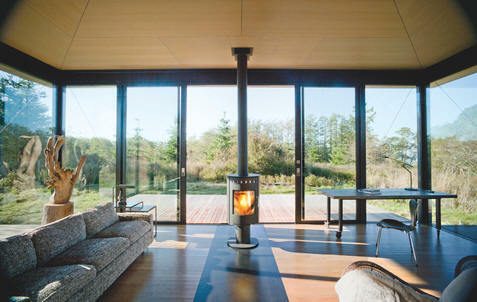 Featured in Architectural Record in 2008. Photos by Tim Bies. 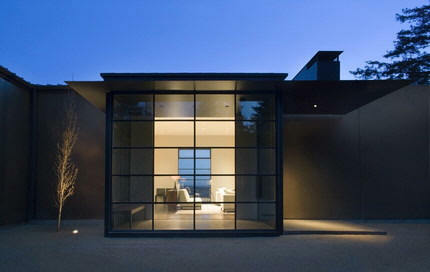 2007 - The Montecito Residence, Toro Canyon Road, Montecito CA. Built by Young Construction. 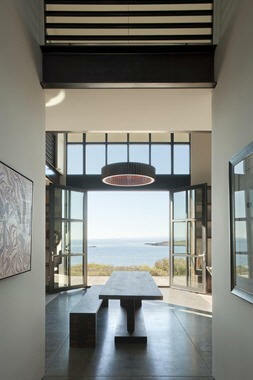 Project architect Elizabeth Bianchi Conklin. Civil engineering: Penfield and Smith. 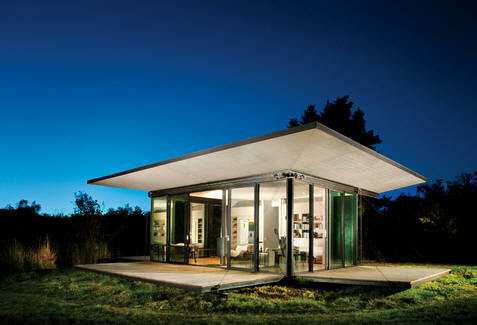 Structural engineering: PCS Structural Solutions. Lighting: O-LLC. Photos by Nikolas Koenig. 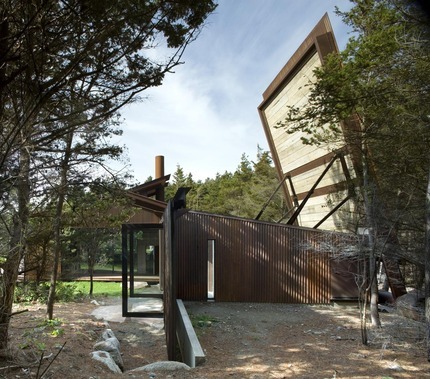 Won a 2008 American Architecture Award. 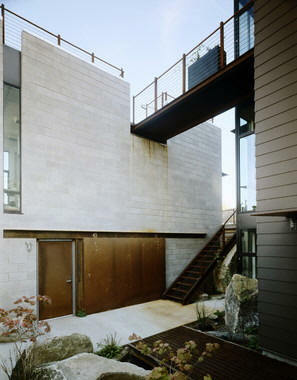 Won a 2007 AIA Seattle Award of Commendation. Has been sold. 2008 - aka Madison Street Condos, Seattle WA. Unbuilt. 2008 - aka Tofino Lodge, Vancouver Island BC, Canada. Unbuilt. Salt Spring BC, Canada. Photos by Tim Bies. 2008 - The Shawn and Sherrie Parry Residence, aka the Mercer Island Residence, 8320 Avalon, Mercer Island WA. Commissioned 2007. 8000 sf. Photos by Tim Bies. Project architect, Elizabeth Bianchi Conklin. Also on the design team, Paul Schlachter. 2008 - The Clayton F. (Clay) and Jane Jackson House, aka The Highlands House, aka the Highlands Vacation Home, 706 Arnold Road, Highlands NC. Commissioned around 2006. 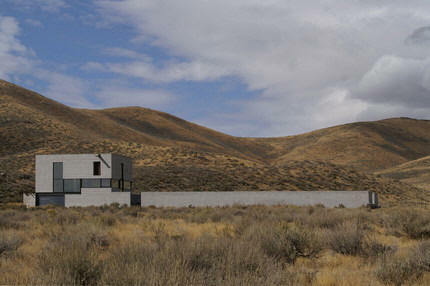 The Jacksons were inspired by Kundig's Ridge House. Project architects, Les Eerkes and Elizabeth Bianchi Conklin. Engineering: Monte Clark, MCE Structural Consultants. Lighting: O-LLC. Landscape design, Howard Design Studio and In Bloom. 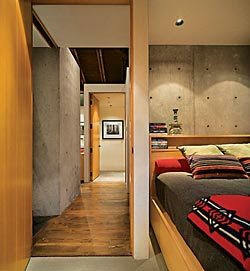 Interior design, Sara Steinfeld and Owen Lawrence. AV: Entertainment Design Group. HVAC: MAC Heating and Air. Windows: North Shore Windows. Stone by Dimension Stone Consultants. Flooring by Apalachee Hardwood Floors. Built by Doug McDaniel of JDM Construction, Buford GA. Bottom three photos by Roger Wade. 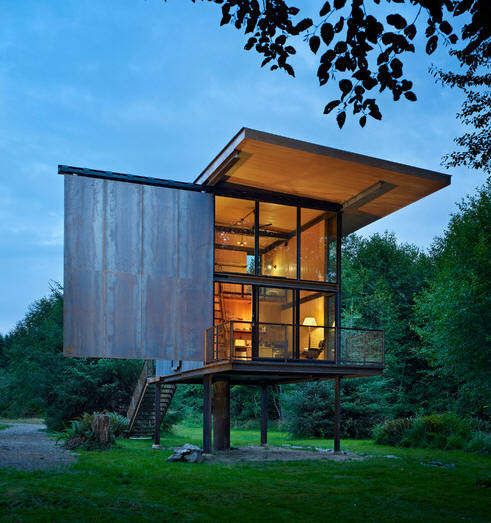 2009 - aka the Lucky Bench Residence, Ancramdale NY. Built by Cornerstone Restoration. Photo is of the pool house. Around 2009 - The Agnes Bourne House, near Spokane WA. Commissioned 2008. Featured in the New York Times 9/30/17. 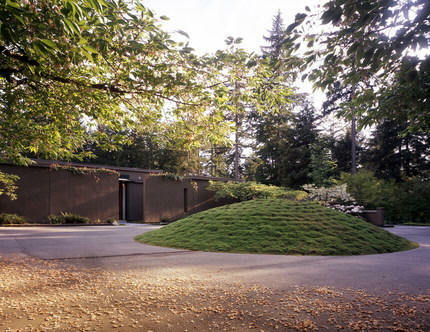 2009 - The Robert and Phyllis Tyson House, aka the Puget Sound Residence, 6775 Beach Drive SW, Seattle WA. Commissioned 2008. Sold in 2015 to Scott Crowder and Todd Pierce. 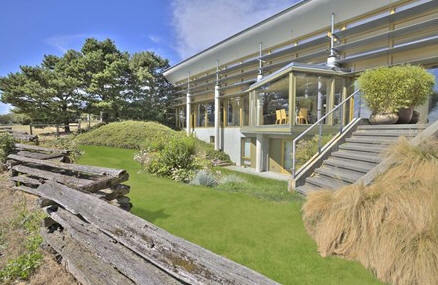 2009 - aka the Wright Renovation, aka the Chat-O Spapho Renovation, Lopez Island WA. Commissioned 2008. Project architect, Chris Gerrick. Engineer: Monte Clark, MCE Structural Consultants. 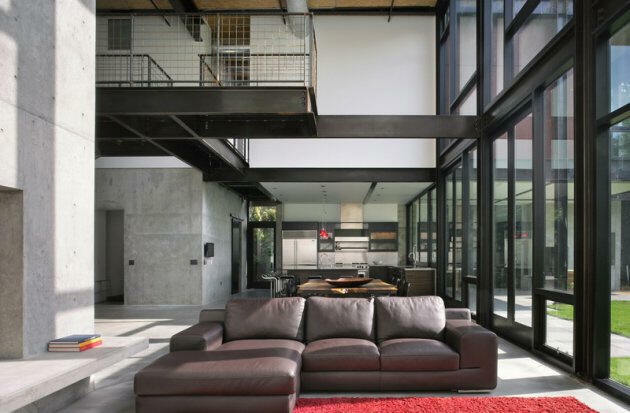 Conversion of a fieldstone garage from the 1920's to a studio. Built by Mitrebox Contracting and Woodworks. 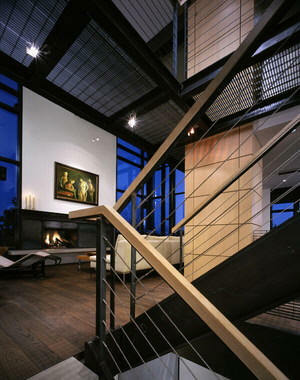 2009 - The Bridle Trails Residence, Bellevue WA. Unbuilt. 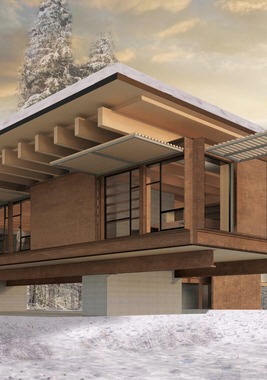 2009 - The Breckenridge Cabin, Breckenridge CO. Unbuilt. 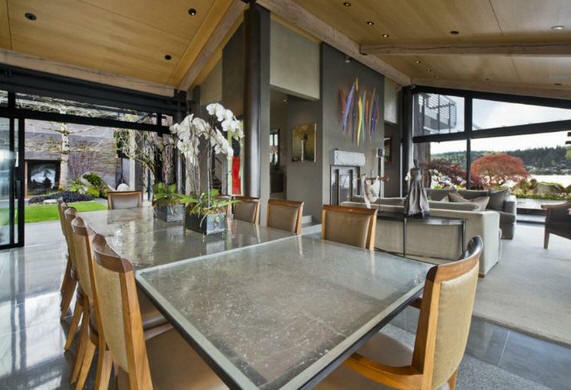 2009 - The Belmont Residence, Vancouver BC, Canada. Status unknown. 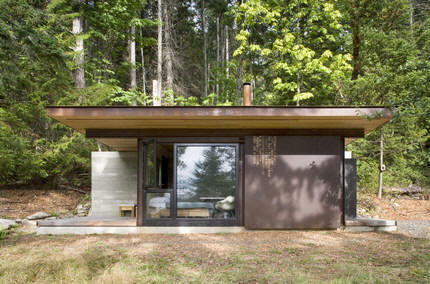 2009 - The Gulf Islands Cabin, Gulf Islands, BC Canada. Status unknown. 2009 - The 1111 East Pike Apartments, 1111 East Pike, Seattle WA. Commissioned 2008. Designed with Kirsten Murray. Photos by Frances Zera. 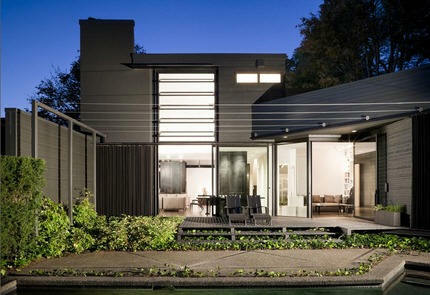 Won the 2011 National AIA Housing Award. 2009 - The Ronnie Sue Stangler Remodel, aka The Kuruma House Remodel, 1067 East Blaine Street, Seattle WA. Photos by Tim Bies. Sold in 2014 to Merima and Aaron Adee. 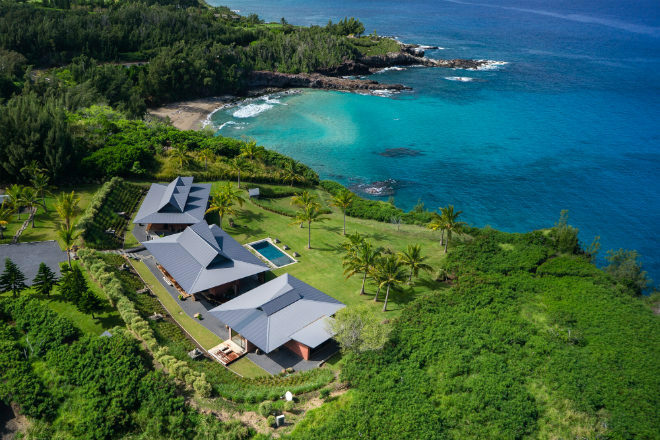 2009 - The Bill and Amanda Nguyen House, aka Slaughterhouse Beach House, aka AURA house, Honoapaiilani Highway at Honoloa Place, Kapalua, Maui HI. Project architect, Kirsten Murray. Engineer: Monte Clark, MCE Structural Consultants. 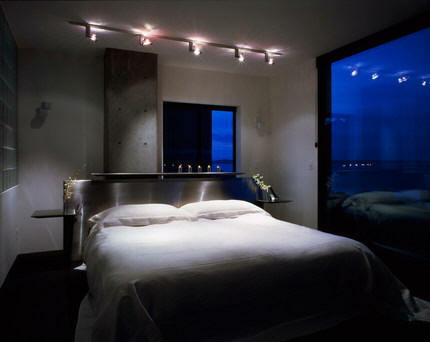 Lighting: O-LLC. Interiors: Sage Interiors. Civil engineer, Ottomo Engineering. Built by Schuchart/Dow. 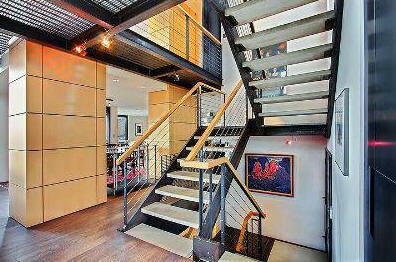 3821 square feet. 2500 feet of open space. 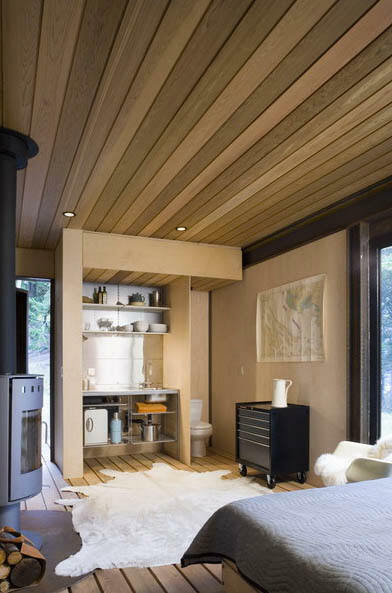 The home features three connected "huts" – general living quarters, guest suites, and a main sleeping area. Top three photos by Simon Watson. 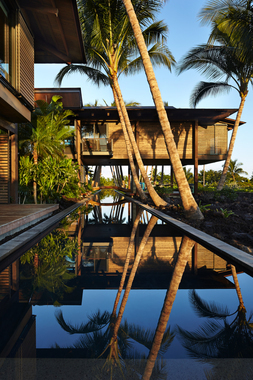 Sold in 2013 to photographer Peter Lik, who added $3M in renovations. For sale in 2015. 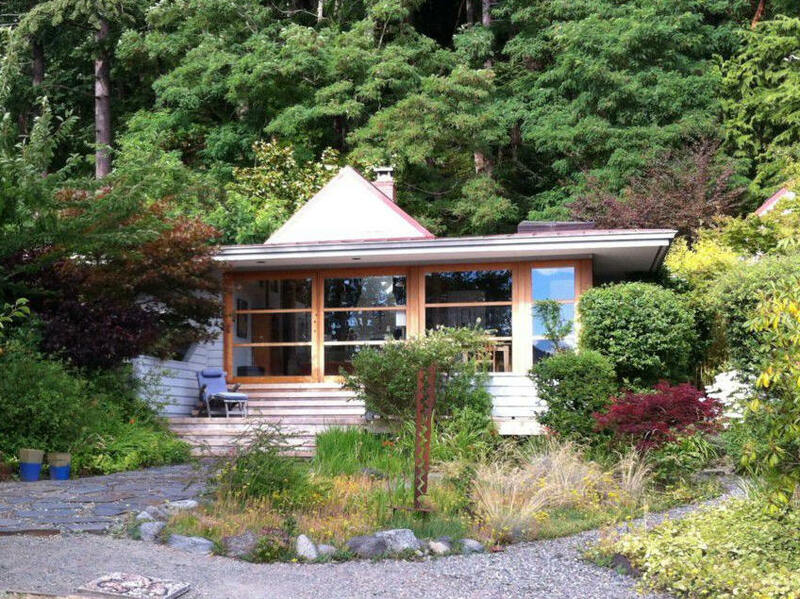 2009 - The Patrick Kirby Cabin, aka The False Bay Writer's Cabin, aka Shutter Island Retreat, 265 Rainshadow Road, Friday Harbor, San Juan Islands WA. Designed with Kirsten Murray. 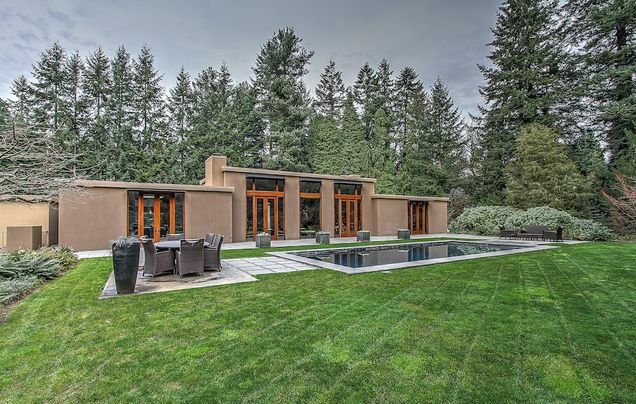 500 sf on 10 acres. Engineer: Monte Clark, MCE Structural Consultants. 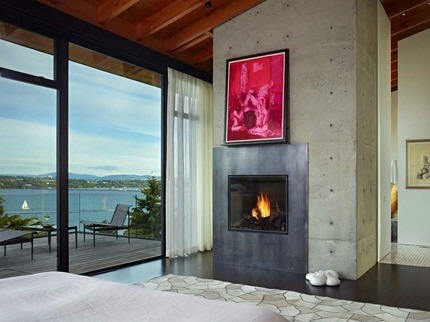 Interior design, Sara Steinfeld, Landscape design, Island Gardens. 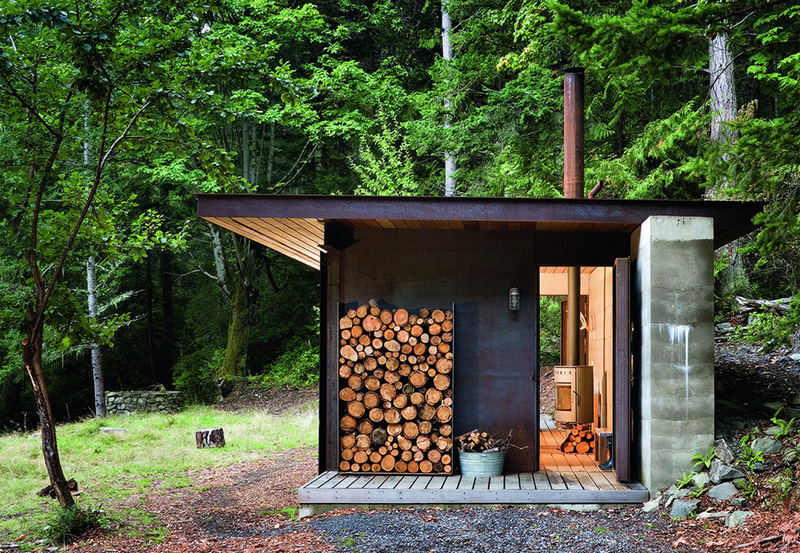 Built by Lowe Construction. 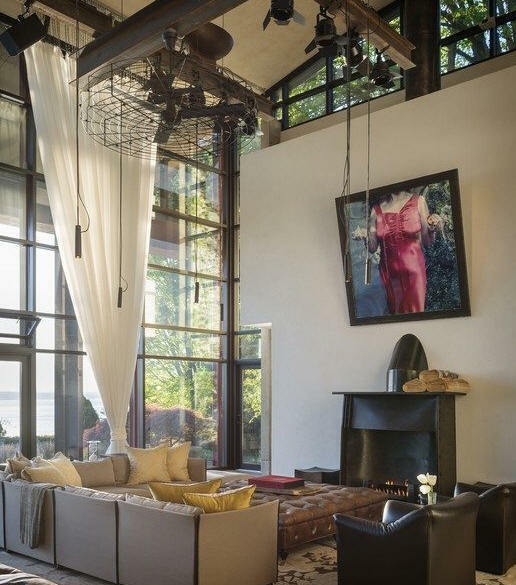 When raised via wire rope and hydraulic winch, the floor-to-ceiling shutters protect the interior. 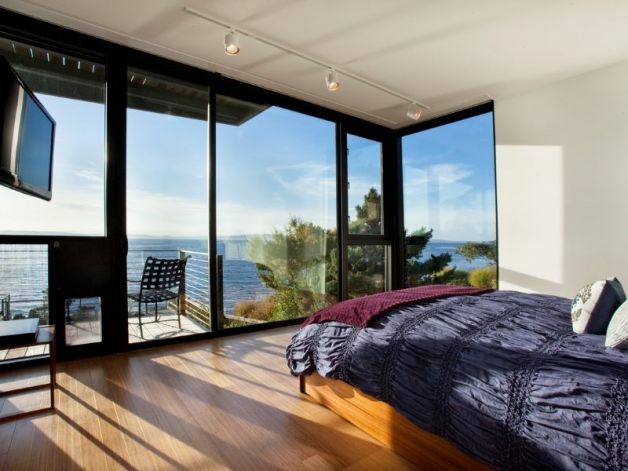 When lowered, they add 600 square feet of deck and sweeping views of the landscape. 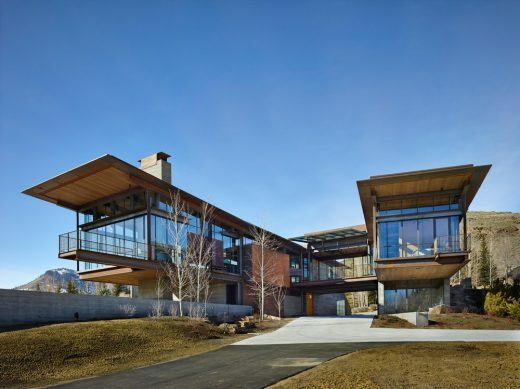 Kundig and Murray designed a larger main house on the same property, below. Photos by Tim Bies. Sold in 2016. 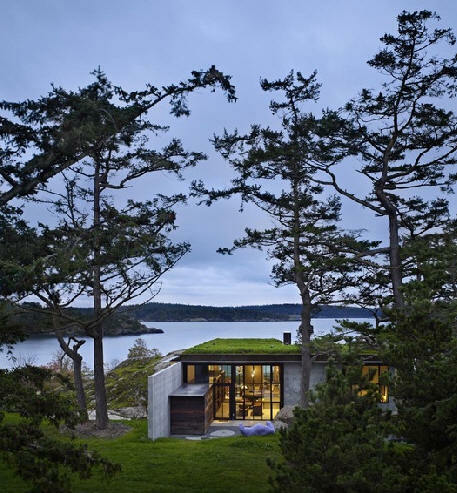 2010 - The Patrick Kirby House, aka The False Bay Residence, 265 Rainshadow Road, San Juan Island WA. Designed with Kirsten Murray. Photos by Tim Bies. Sold in 2016 with the guest house above. 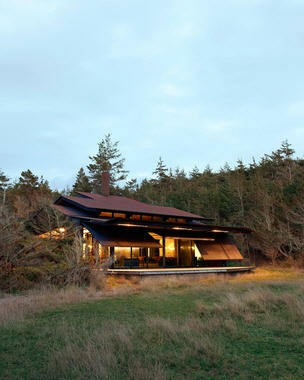 2010 - The Merrill Wright House, aka the Pierre, Richardson and Vista Roads, Lopez Island, San Juan Islands WA. 2200 sf. 15 acres. Chris Gerrick was the project manager. Charlie Fairchild worked with Wright on the interiors. 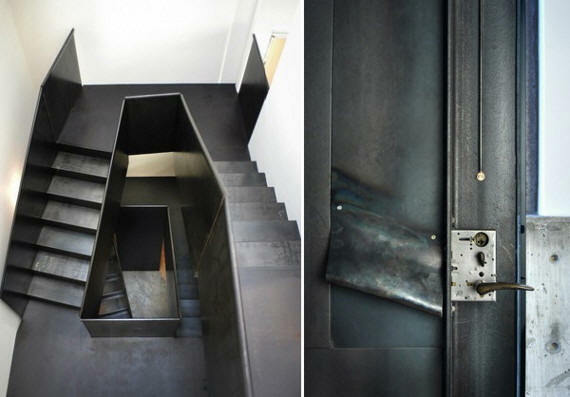 Engineering by Monte Clark, MCE Structural Consultants. Civil engineer: CPL. Built by Schuchart/Dow Construction. 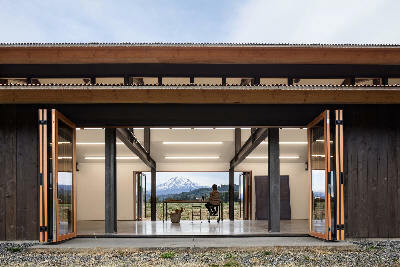 Won a 2012 Design Award from the Northwest & Pacific Region AIA. First two photos by Benjamin Benschneider. Last photo by Dwight Eschliman. 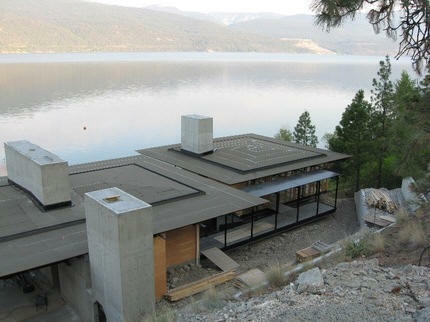 2010 - The Anthony Von Mandl Residence, aka The Lake Okanagan House, Kelowna BC, Canada. 2010 - The Christopher Rogers House, aka The Hammer House, 1701 33rd Avenue, Seattle WA. 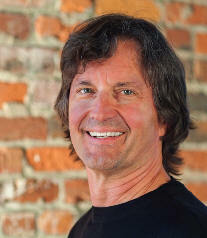 Project architect, Mark Olthoff. Structural engineer: Magnusson Klemencic. Civil engineer: Coughlin Porter Lundeen. Built by Schuchart/Dow Construction. Photos by Nic Lehoux. 2010 - The John and Shari Behnke Residence, aka The Laurelhurst Residence, 3310 Laurelhurst, Seattle WA. Project architect, Jerry Garcia. Engineer: Monte Clark, MCE Structural Consultants. Civil engineer: Coughlin Porter Lundeen. 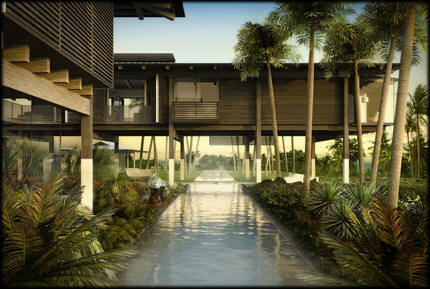 Landscape architect, Ken Philip. Built by Schuchart/Dow. Photos by Ben Benschneider. 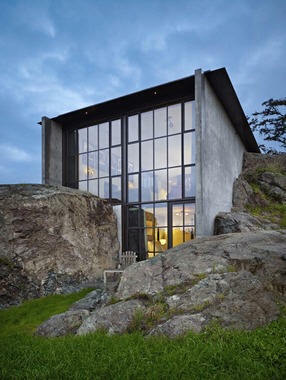 2010 - The Carol Bobo House, aka Shadowboxx, 111 Bumblebee Place, Lopez Island WA. Commissioned 2009. Project architect, Jon Gentry. 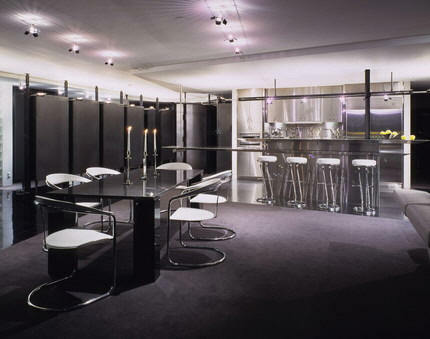 Structural engineering by Monte Clark, MCE Structural Consultants. Interiors by Viekman. Mechanical, CPI Plumbing and Heating. Built by Krekow Jennings. Photos by Jason Schmidt and Benjamin Benschneider. 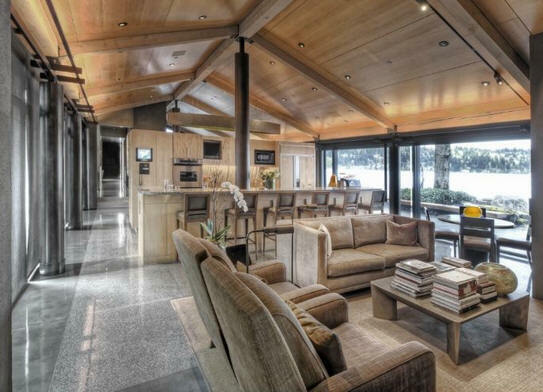 2010 - The Laura and Randy Browning Remodel, aka the Riley's Cove Residence Remodel, 7430 North Mercer Way, Mercer Island WA. Commissioned 2009. 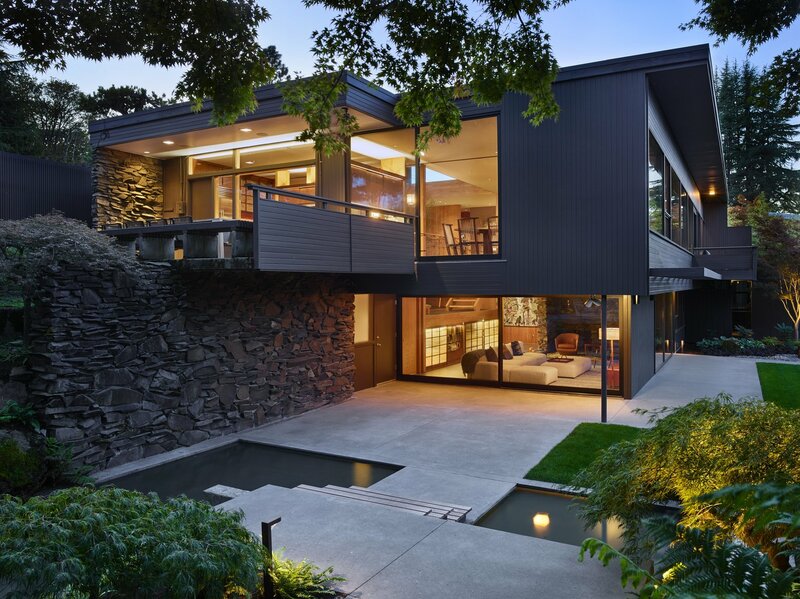 Expansion and renovation designed by Kirsten Murray, Kundig, and Alivia Owens of a 1958 Modernist house. Built by Tim Tanner of Tanner Construction. Photos by Tim Bies. 2010 - aka The Island Beach Lodge, location unknown. Unbuilt. 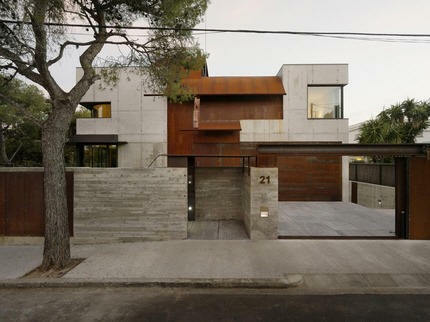 2010 - aka Studio Sitges, Carrer de Llopis i Bofill 21, Sitges, Spain. Designed for two artists. Project architect, Elizabeth Bianchi Conklin. Engineer: Monte Clark, MCE Structural Consultants. Built by Carbonell Freixas SL. 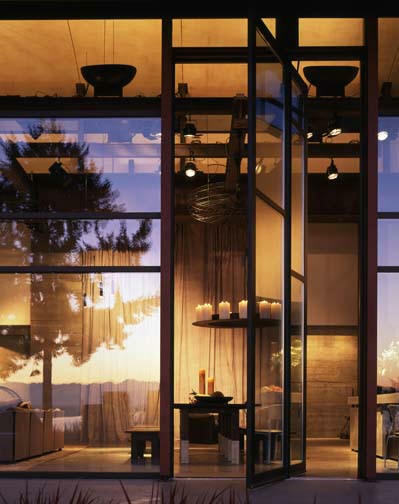 Featured in Architectural Digest. Photo by Nikolas Koenig. Available for rent. 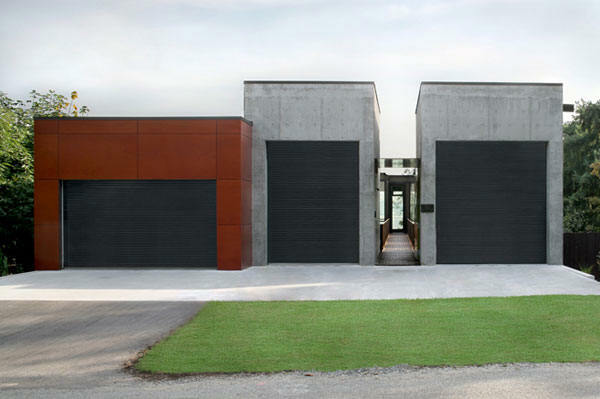 2010 - aka Private Estate, Seattle WA. Status unknown. 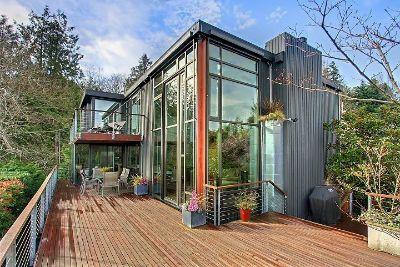 2010 - aka The Madison Park Residence, Madison Park area of Seattle WA. Do you know where it is? Status unknown. 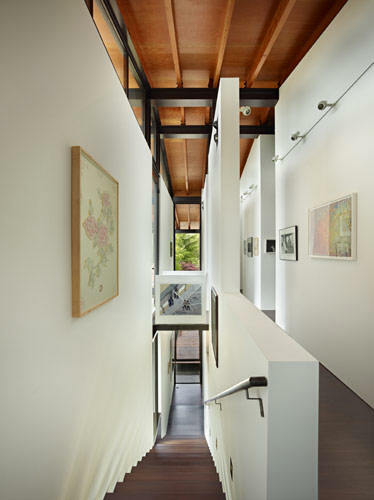 2010 - aka The Highgate Residence Renovation, Kensington CA. Status unknown. 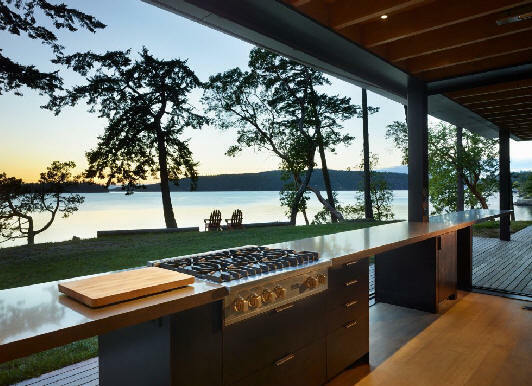 2010 - aka The Hood Canal Residence Remodel, Hood Canal WA. Status unknown. 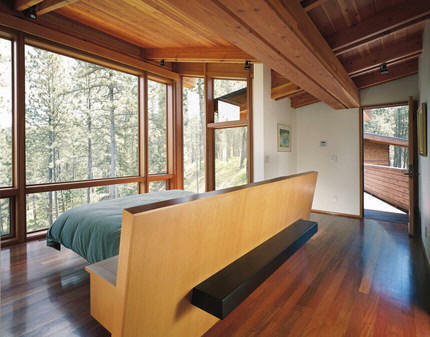 2010 - aka The Mountain Residence, Roslyn WA. Unbuilt. 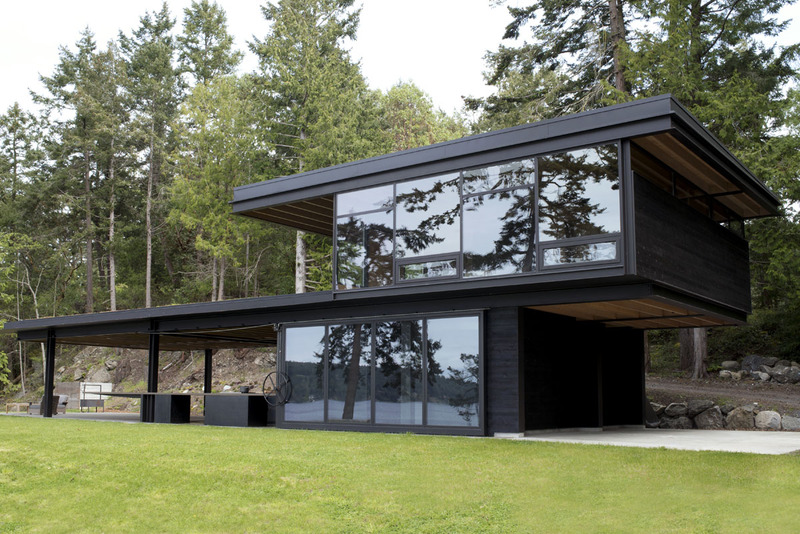 2010 - aka The West Vancouver Residence, Vancouver BC. Unbuilt. 2010 - aka East Village Apartment Renovation, New York NY. 1600 sf. Project manager, Edward Lalonde. Plumbing, AFNY. 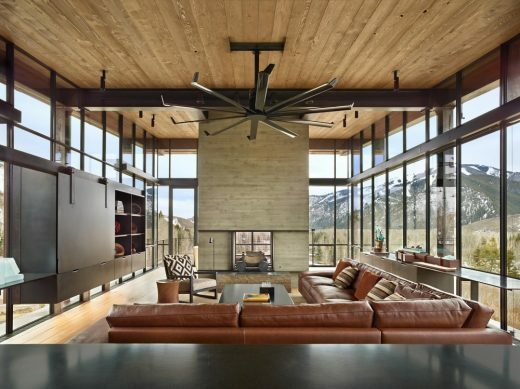 Built by Living Space Design. Photos by Jason Schmidt. 2010 - 516 Yale Street Condos, aka Art Stable, Seattle WA. 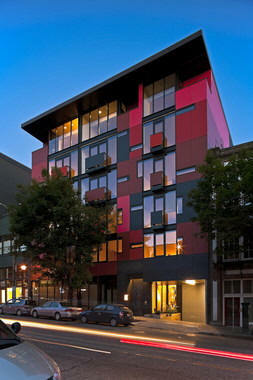 Won the 2011 AIA Housing Award and RA Magazine 2011 Project of the Year. Project architect, Kirsten Murray. 2011 - aka Hanu Hale, aka The Hawaii Residence, Kailua, Kona, Hawaii. Do you know where it is? Status unknown. 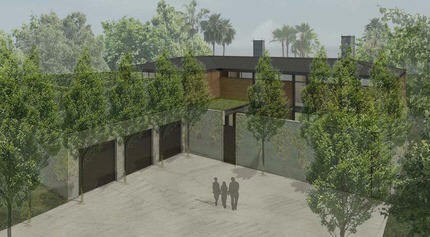 2011 - aka Hollywood Hills House, aka The Live Oak Renovation and Addition, Los Angeles CA. Originally a Wallace Neff house overlooking the Griffith Observatory. Commissioned 2010. Photo of model by Tim Bies. Status unknown. 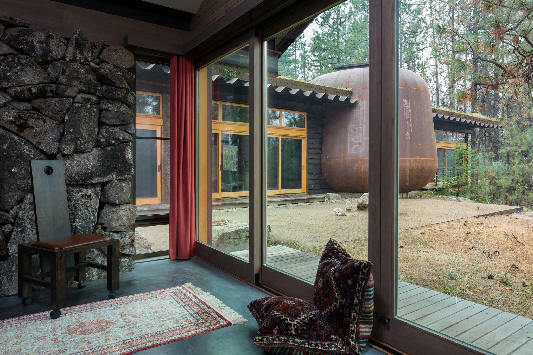 2011 - aka Pieso Poagen, 21510 North South Bank Road, Nine Mile Falls WA. 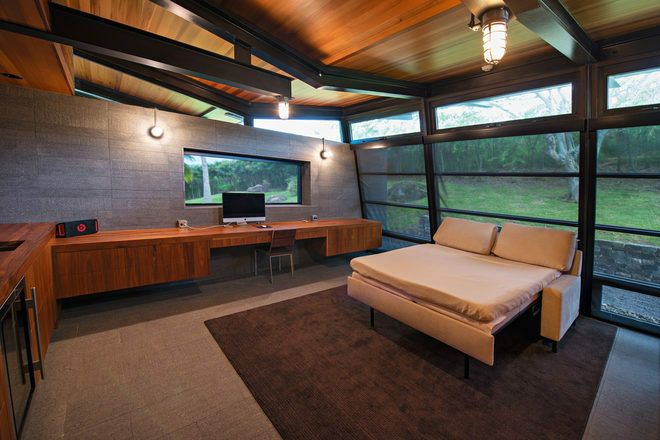 Project architect Bob Jakubik. 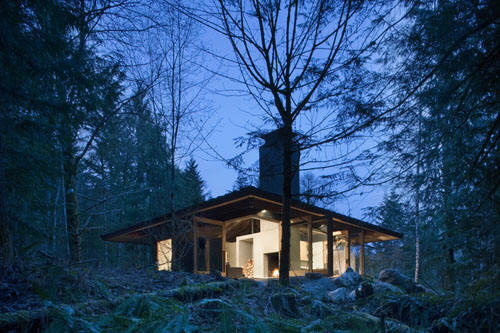 2011 - aka the Sol Duc Cabin, Beaver WA. Located near Olympic National Park. 350 sf. Project architect was Edward Lalonde. 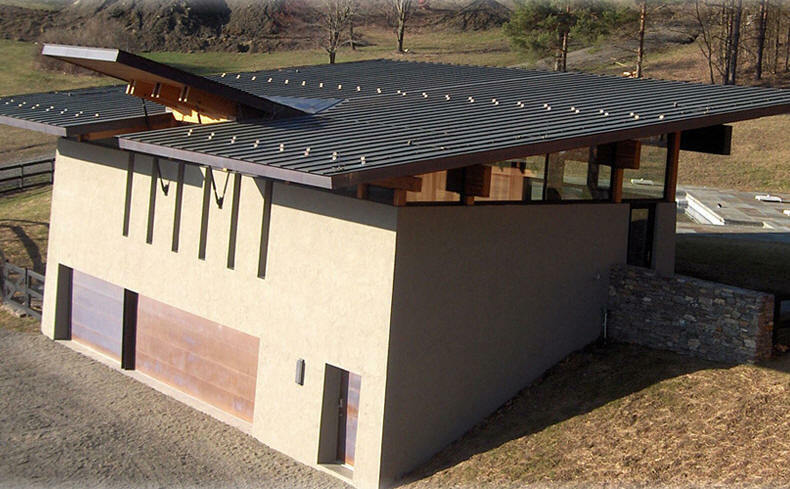 Civil Engineering by Zenovic and Associates. Structural Engineer: Monte Clark, MCE Structural Consultants, Stevensville MT. Built by Schuchart/Dow Construction. 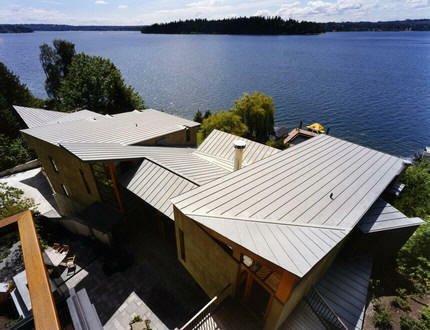 Won a 2011 AIA Seattle Honor Award. Photo by Benjamin Benschneider. 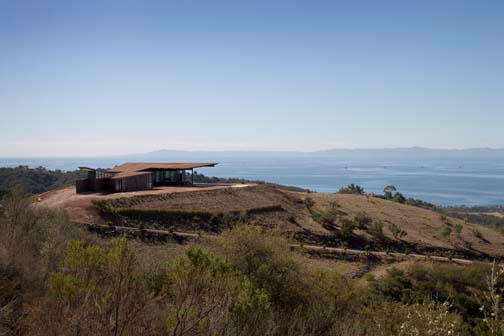 2011 - The Daniel Rosenbaum House, aka the Summerland Residence, aka the Santa Barbara Residence, Santa Barbara CA. Status unknown; likely unbuilt. 2011 - The West Chelsea Apartments, aka The West Chelsea Scramble Tower, New York NY. On hold as of 2014. 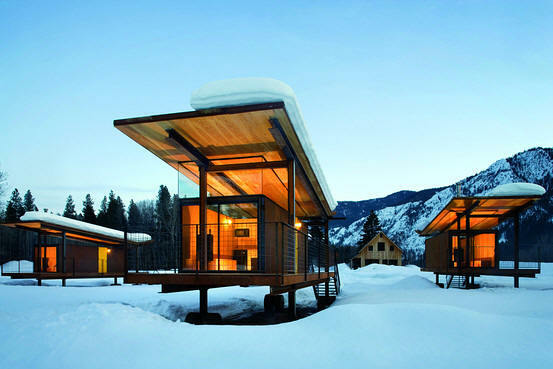 2011 - aka The Main and Outpost Cabins, Pincher Creek, Alberta, Canada. Status unknown. 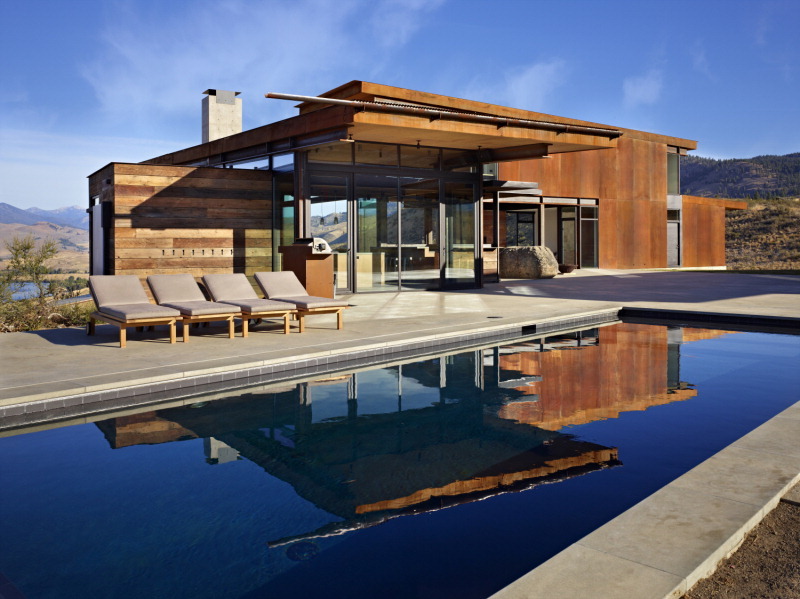 2011 - aka The Two Peaks Residence, Ketchum ID. Status unknown. 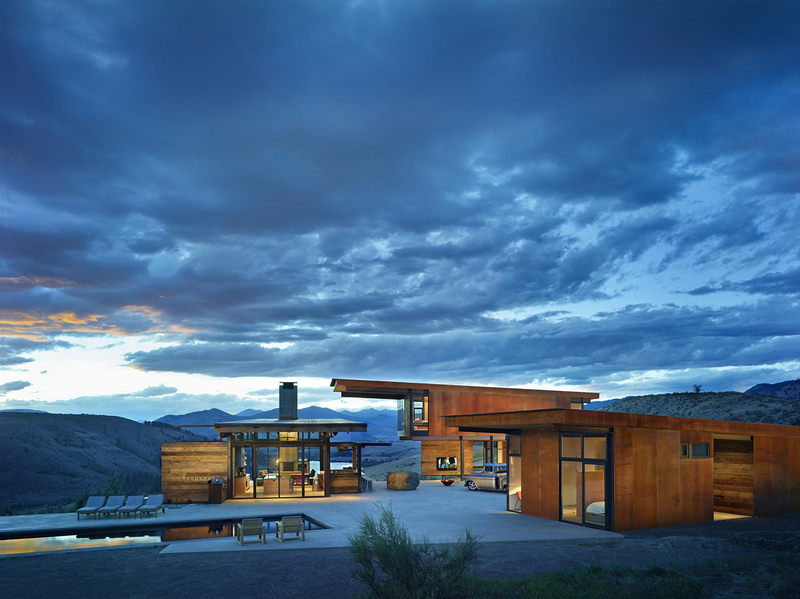 2011 - aka The Sagebrush Lane Residence, Ketchum ID. Status unknown. 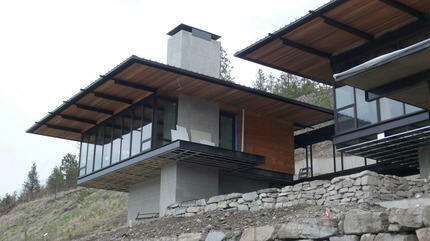 2011 - aka The Hulen Meadows Residence, Ketchum ID. Status unknown. 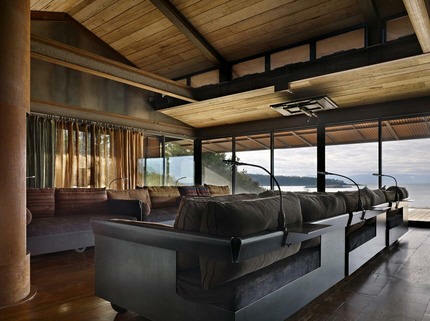 2011 - aka The Island Crest Residence, Mercer Island WA. Status unknown. 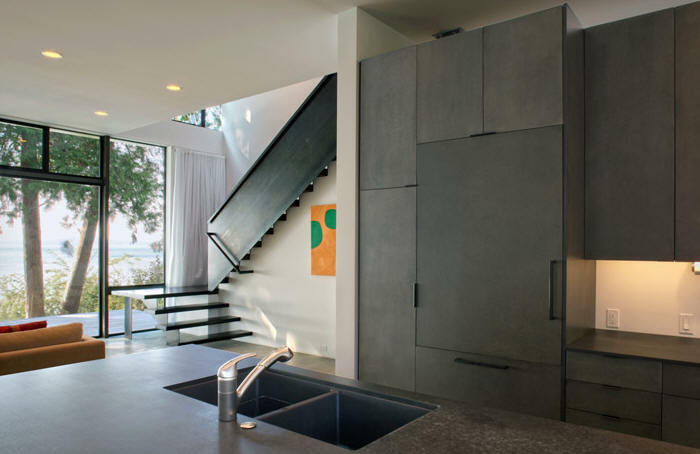 2011 - aka The Canal Residence, Venice CA. Status unknown. 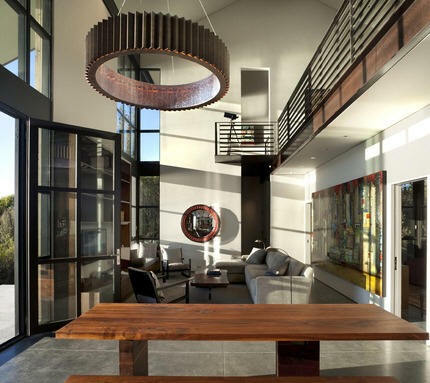 2011 - aka The Live Oak Residence, Los Angeles CA. Status unknown. 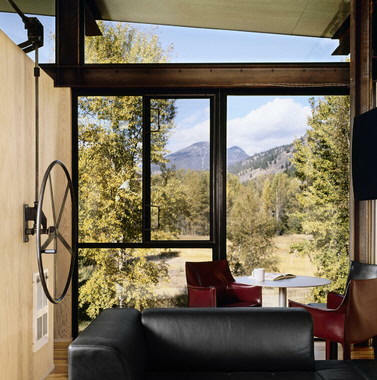 2011 - aka The San Miguel River Condos, Telluride CO. Status unknown. 2011 - aka Bigwood, Ketchum ID. Project architect, Edward Lalonde. 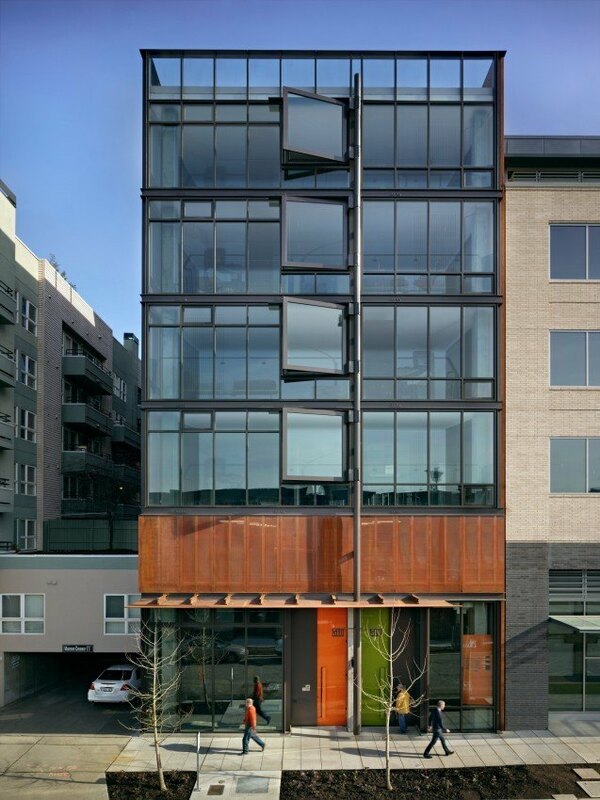 2011 - aka The Cascade Apartment/Gallery, Seattle WA. Status unknown. 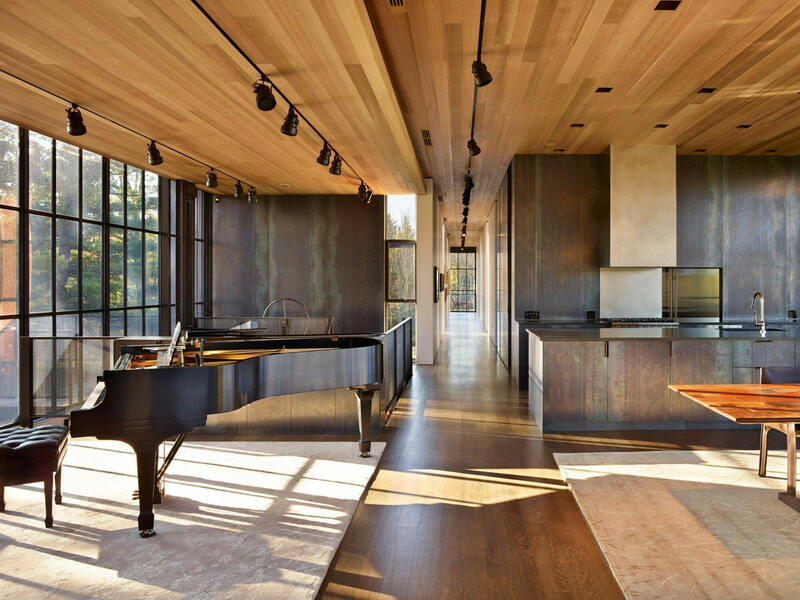 2011 - aka The Bell Haven Residence, Greenwich CT. Status unknown. 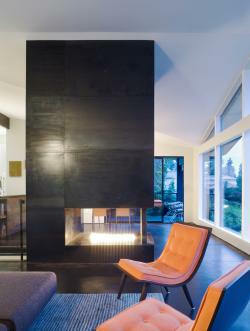 2011 - aka The Berkeley Hills Residence Remodel, Berkeley CA. Status unknown. 2011 - aka Sawmill Canyon Hut, aka Sawmill Canyon Retreat, Tehachapi CA. 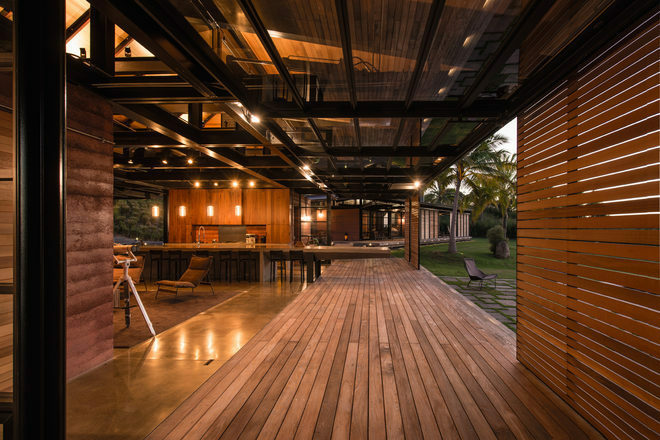 A custom gizmo blends the indoor and outdoor living spaces into one courtyard. 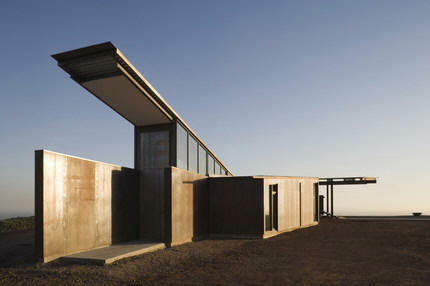 Includes wind power, solar panels, geothermal, and salvaged structural steel from a demolished cement plant. Photos by Kevin Scott and Gabe Border. 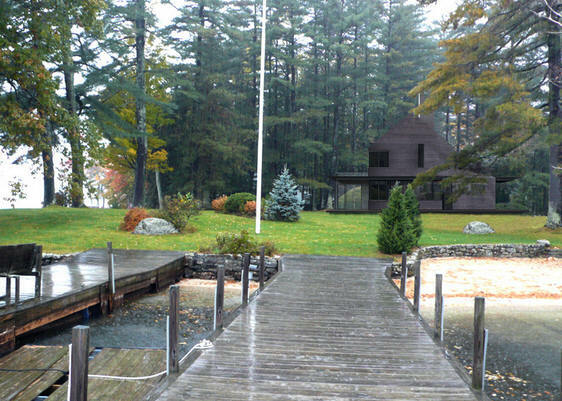 2011 - aka The Wolfeboro House, Wolfeboro NH. Project architect, Jon Gentry. 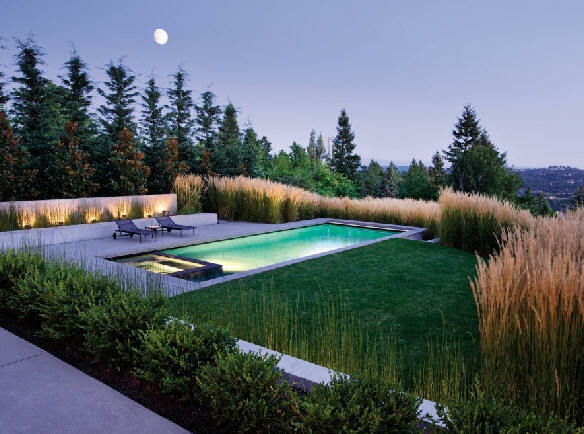 Landscape architect, Michael Boucher. Status unknown. 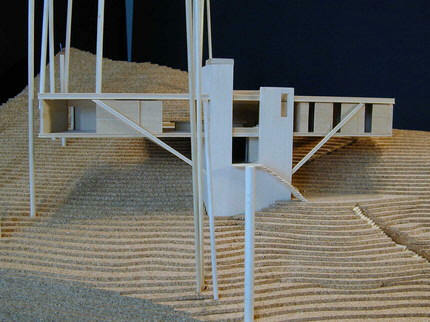 2011 - aka The Pacific Palisades Residence, Pacific Palisades CA. Status unknown. 2011 - aka The Whistler Ski House, Whistler BC, Canada. Built by Schuchart/Dow. Project architect, Steve Grim. Photos by Benjamin Benschneider. 2011 - The Richard Hesik House, aka the West Seattle Residence, aka the Fauntleroy House, aka the Tansu Residence, 9263 Fauntleroy Way SW, Seattle WA. 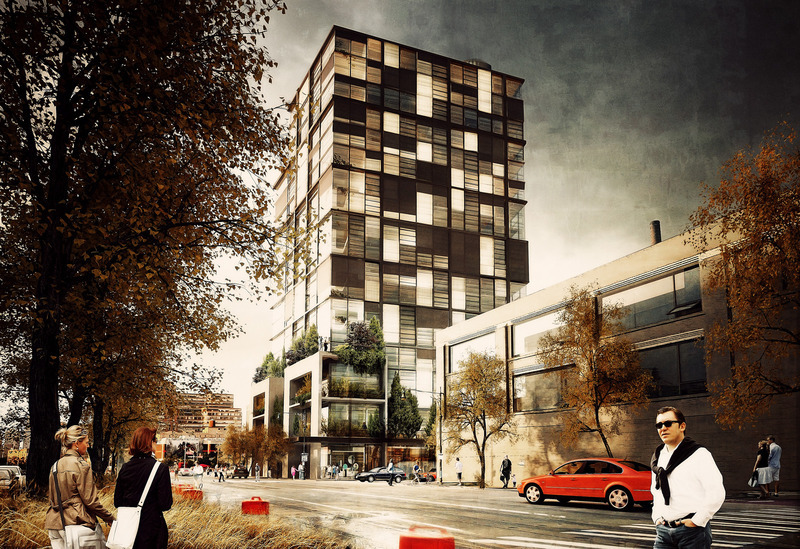 Won an AIA Seattle Design Award. 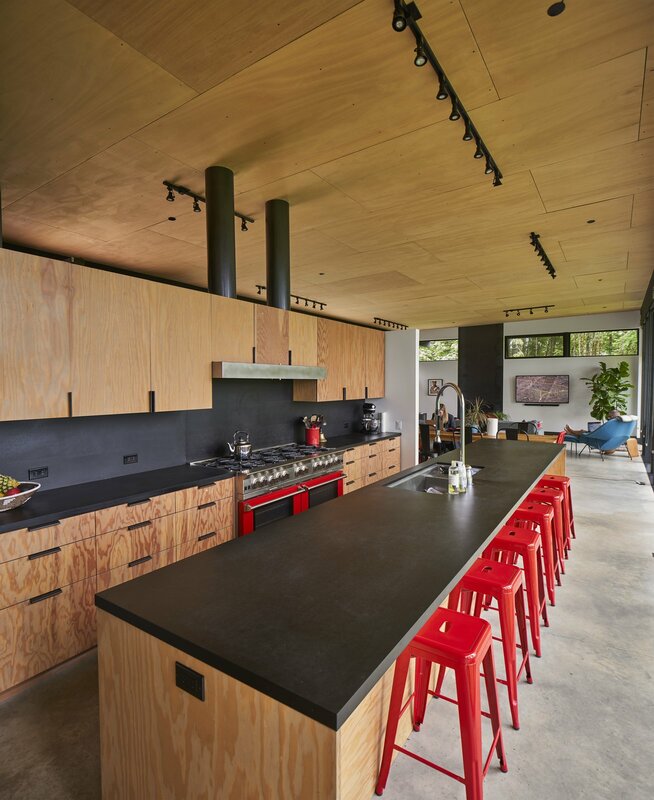 Project architect Mark Olthoff. 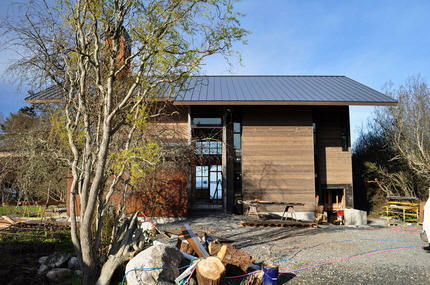 Built by Dovetail Building Company Inc. Engineering by MCE Structural Consultants. Photos by Benjamin Benschneider. 2014 - The Lili and Lee Siegelson Apartment, aka The Upper East Side Apartment, New York NY. Commissioned 2012. 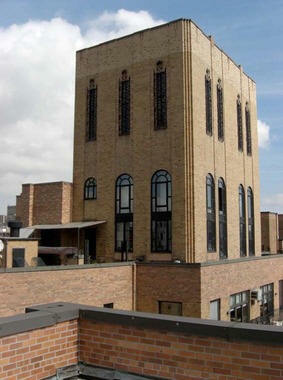 Links an Art Deco water tower with the penthouse unit located below it. Project architect, Edward Lelonde. 2012 - The Shane and Tasha Atchison House, aka Studhorse, Winthrop WA. 3000 sf. 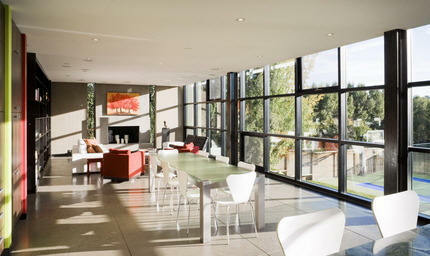 Engineering by MCE Structural Consultants, built by Schuchart Dow. 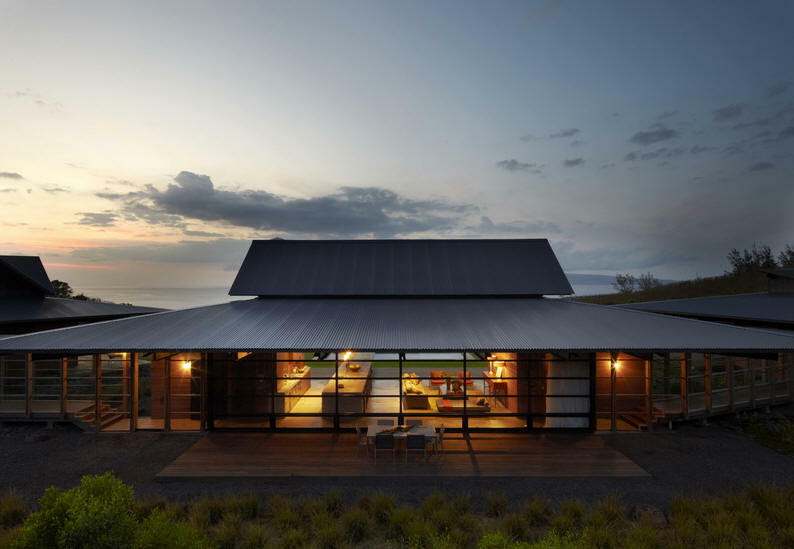 Four separate structures surround a central courtyard, with each oriented toward different elements in the landscape. Photos by Benjamin Benschneider. 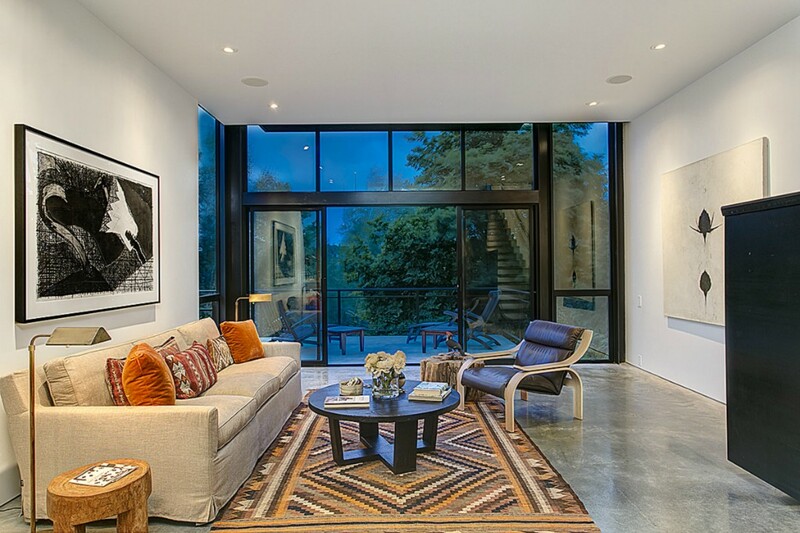 Featured in Architectural Digest in 2014. 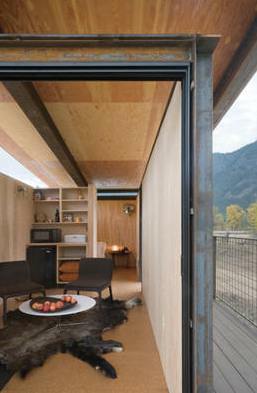 Won a 2015 National AIA Housing Award. 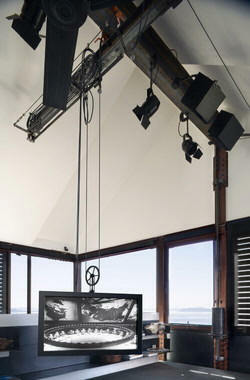 2012 - The Jane Ketcham House, aka Pole Pass Cabin, Orcas Island, San Juan Islands WA. Top photo by Jennilee Marigomen. Those plaintiffs, and the Mazama community in general, objected because the house violates deed covenants protecting the ridge. Video. Kundig et al refuted that the plaintiffs had legal standing, which was partially true. 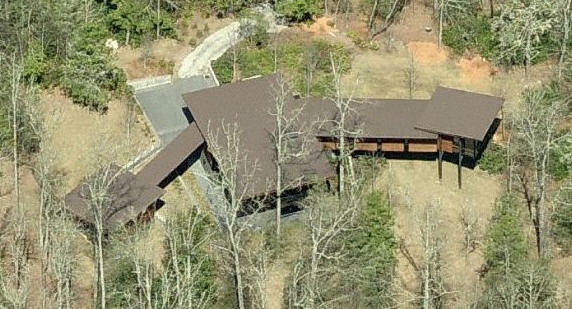 Only former owners Steven and Kristin Devin were ruled valid to proceed on the claim the cabin violated binding 1987 covenants prohibiting views from the valley floor from being compromised. In October 2014, Superior Court Judge Chris Culp ruled the house must be moved. “Because the hut violates the covenants, the court rules in favor of plaintiffs,” Culp wrote. “Given plaintiff’s prayer for relief, removal of the hut from its current location is the only remedy and the court rules accordingly.” An appeal was filed. However, as of February 2015, according to Scott Johnston with MoveTheHut, the parties reached agreement to move the hut to a new site in spring 2015. The hut moved in late 2015. 2014 - aka the Berkshire House, New Marlborough MA. Photos by Benjamin Benschneider. Built by Peter D. Whitehead. Project Manager: Elizabeth Bianchi Conklin. Project Architect: Gus Lynch. Gizmologist: Phil Turner. 2014 - The Charles Smith Renovation, 5756 Wilson Avenue South, Seattle WA. Photos by Benjamin Benschneider. 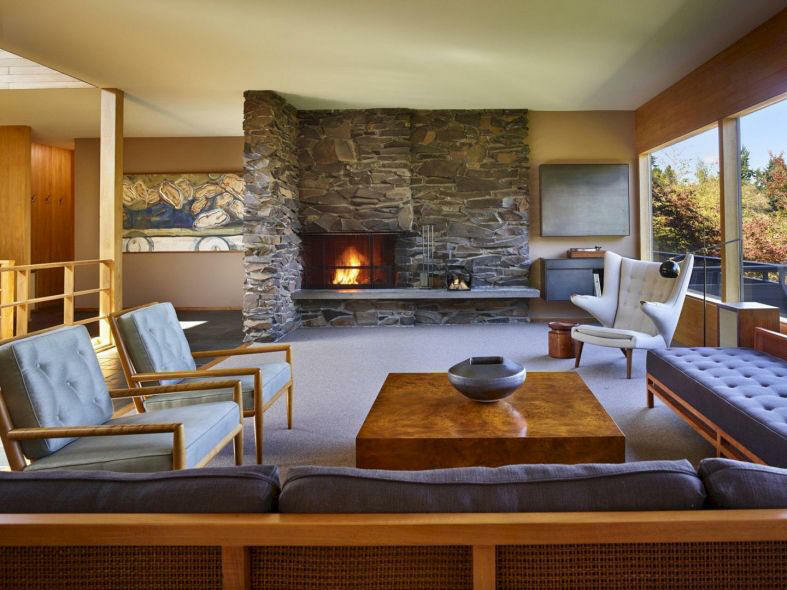 Original house designed in 1953 by Paul Hayden Kirk for the Dowell family. 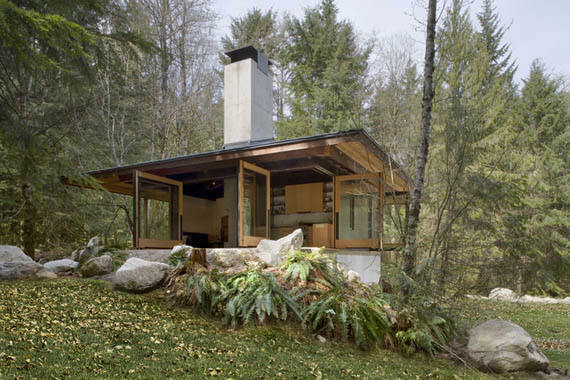 Year Unknown - The Stepping Water House, Mercer Island WA. Project architect Matthias Winker. Status unknown. Year Unknown - The Mount Bonnell House, Austin TX. Project architect, Chris Gerrick. Status unknown. 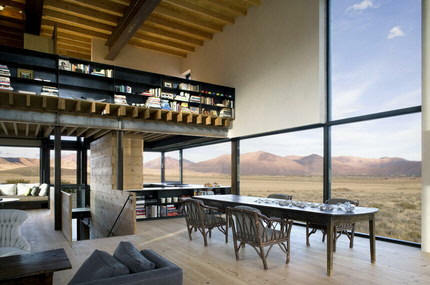 Year Unknown - The BAK House, 90 miles from Buenos Aires, Argentina. Five acres. Project architect, Megan Quinn. Status unknown. 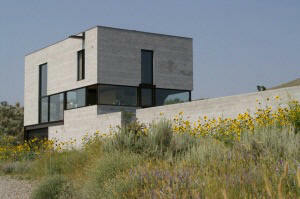 2013 - The Paul B. and Suzanne Mack House, aka Rimrock, 6316 North Indian Bluff Road, Spokane WA. 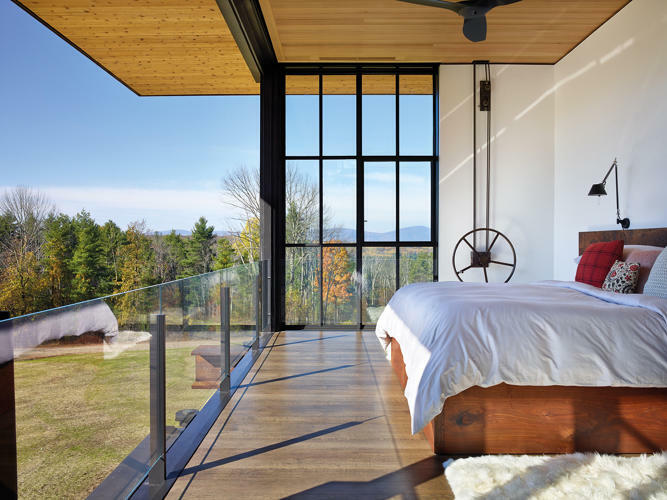 Built by Copeland Architecture and Construction. 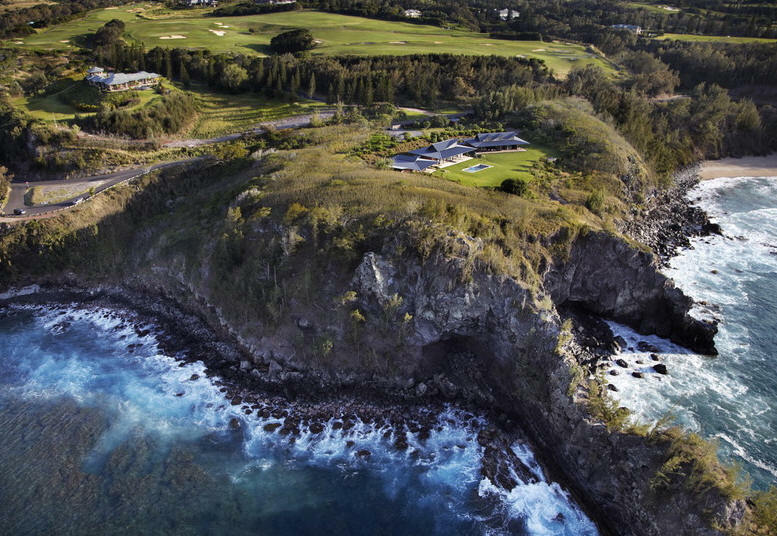 16 acres. 5200 sf. Photos by Benjamin Benschneider. 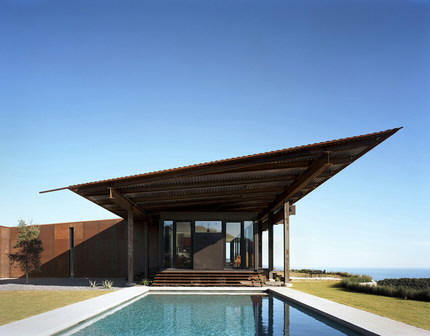 Year Unknown - aka The Barn Residence, Santa Barbara CA. Status unknown. Year unknown - The Lake Creek House, Ketchum ID. Project architect, Todd Mathes. Near Bald Mountain. 7500sf. 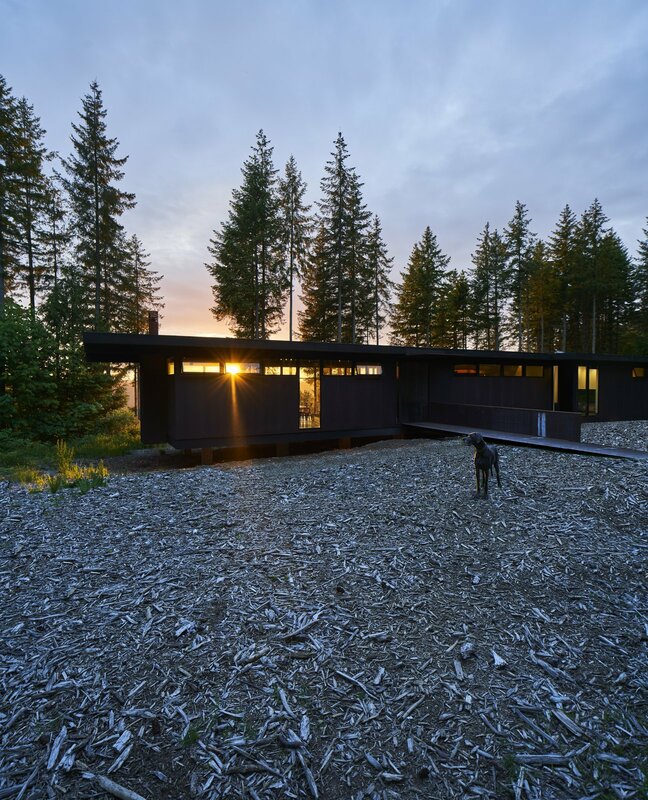 Built by Lee Gilman Builders, Inc.
2016 - The Lou R. and Kim Maxon House, Carnation WA. About 22 acres. Commissioned 2009. Groundbreaking in 2014. Built by Schuchart/Dow. Project architect, Edward Lalonde. Featured in DWELL, Sept 2011 and July 2018. As of 2011, the owners were making a documentary, status unknown. Photos by Ian Allen. 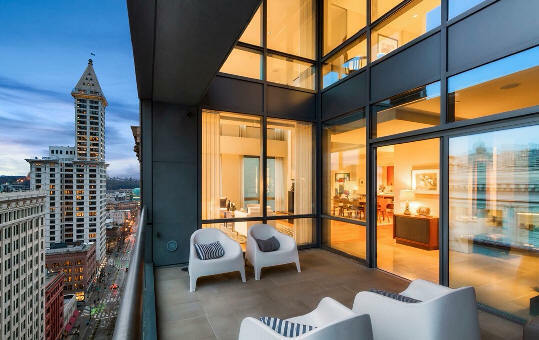 Around 2016 - Renovation, 715 2nd Ave Unit 1506, Seattle WA. Sold in 2017. Two floors high. 2016 - The Gianna Puerini and Brian Valentine House, aka the Meg House, 403 West Prospect Street, Seattle WA. Tom Petty played at their wedding. Commissioned around 2014. 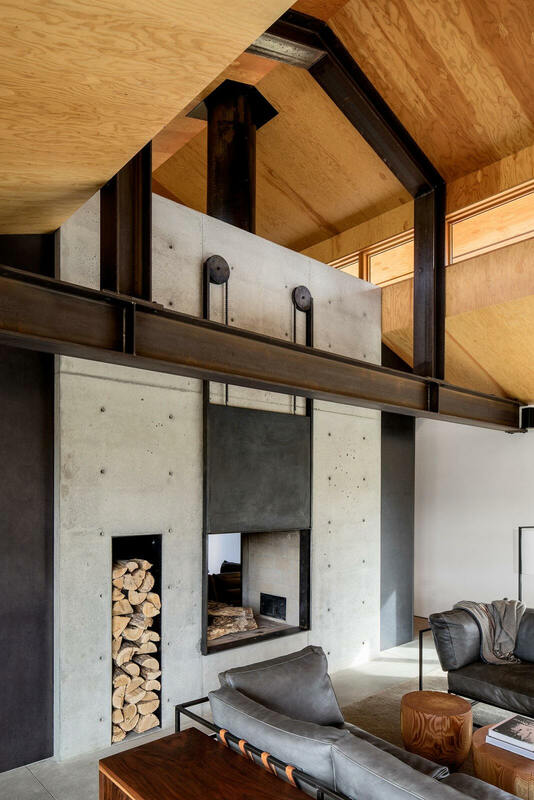 Featured as a 2017 Architectural Record House. Photos by Nic Lehoux. Built by Schuhart/Dow, engineering by MCE (Monte Clark). 2016 - aka Trout Lake House, Trout Lake WA, near the White Salmon River. 40 acres. 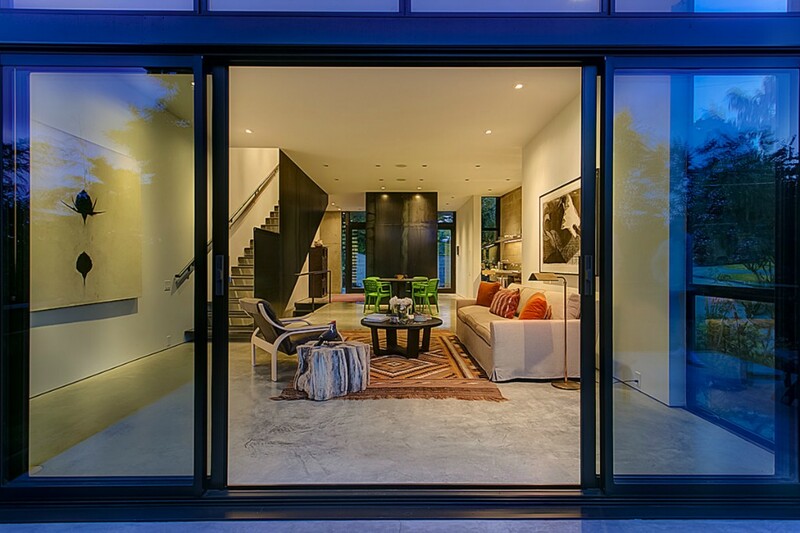 Built by Jepson West Design and Construction. Four buildings. Project architect, Dawn McConaghy. 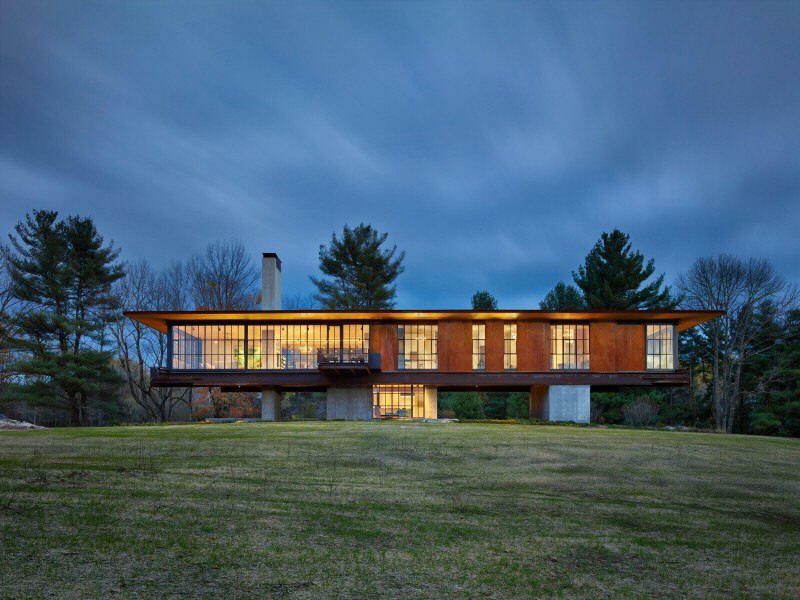 2017 - The Max and Rebecca Weinberg House, New Jersey. Status unknown. 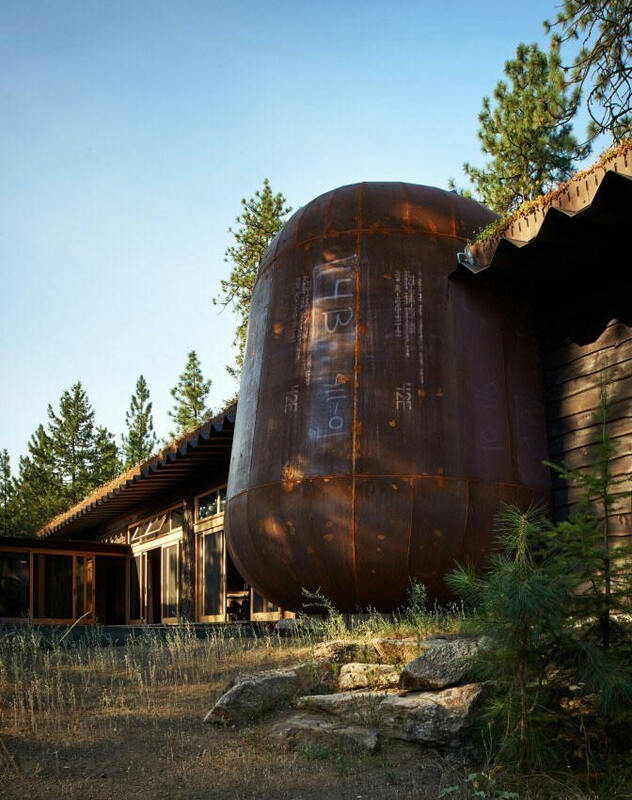 Sources include: Olson Kundig, Tom Kundig: Houses, Tom Kundig: Houses 2, Archis, Archiplanet, Virtual Globetrotting, Blockshopper Seattle, David Paulson Construction.